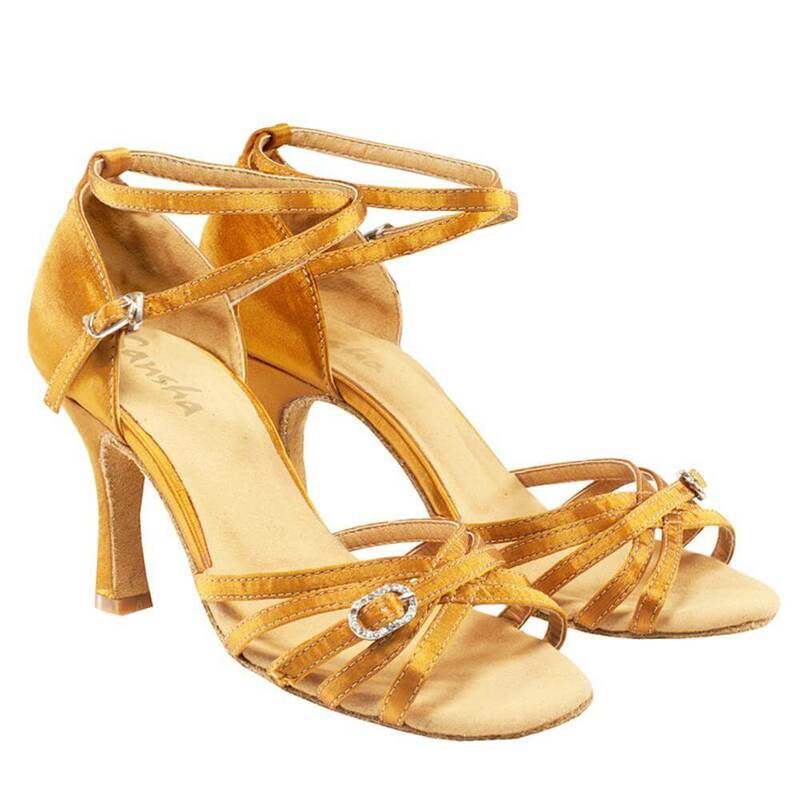 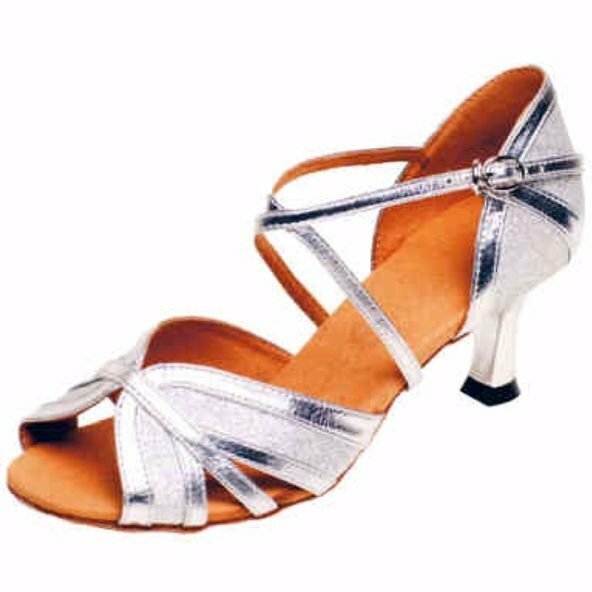 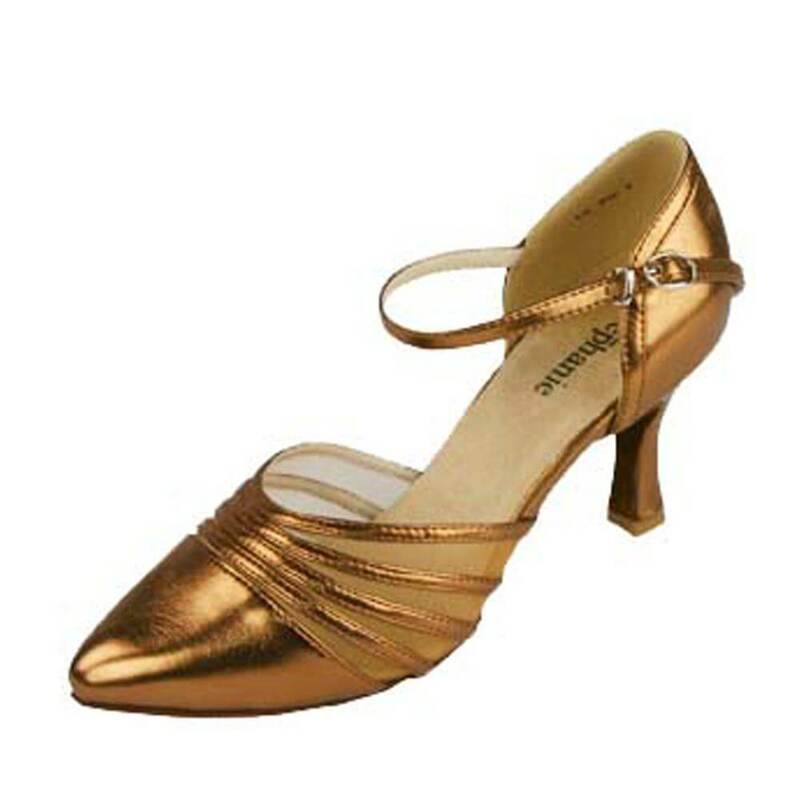 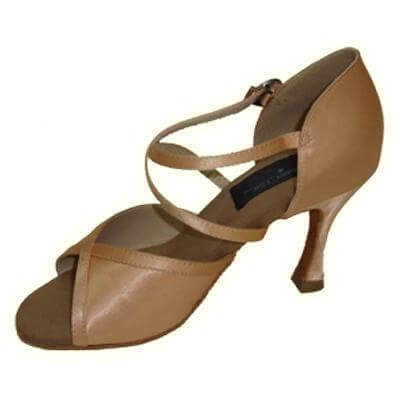 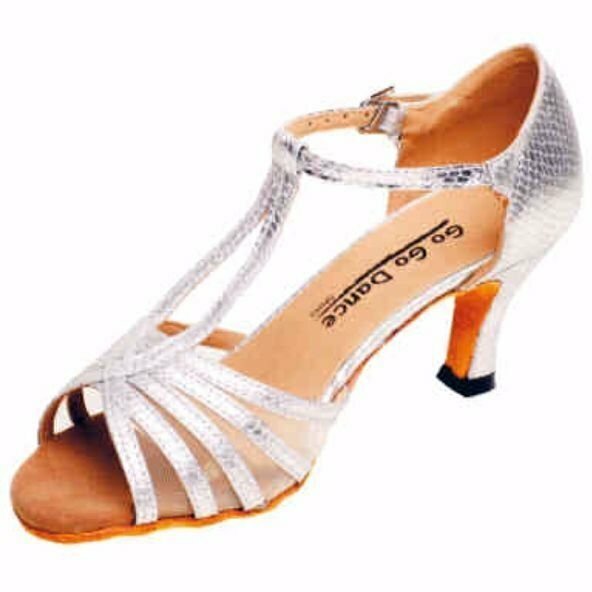 Latest Ballroom Dance Shoes styles for sale online. 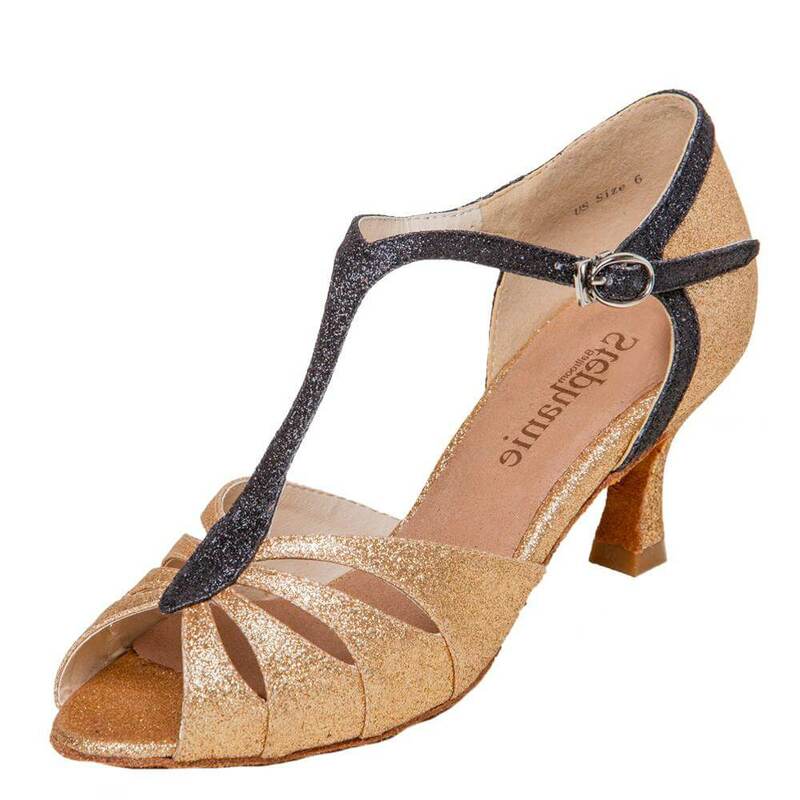 Go Go Ladies Latin/Rhythm Ballroom Shoe w/2.5 Inch Heels GO979: GOGO Dance Shoes Latin Series feature stylish 2.5-inch heel with upgraded insole and sueded sole offering ultra comfort. 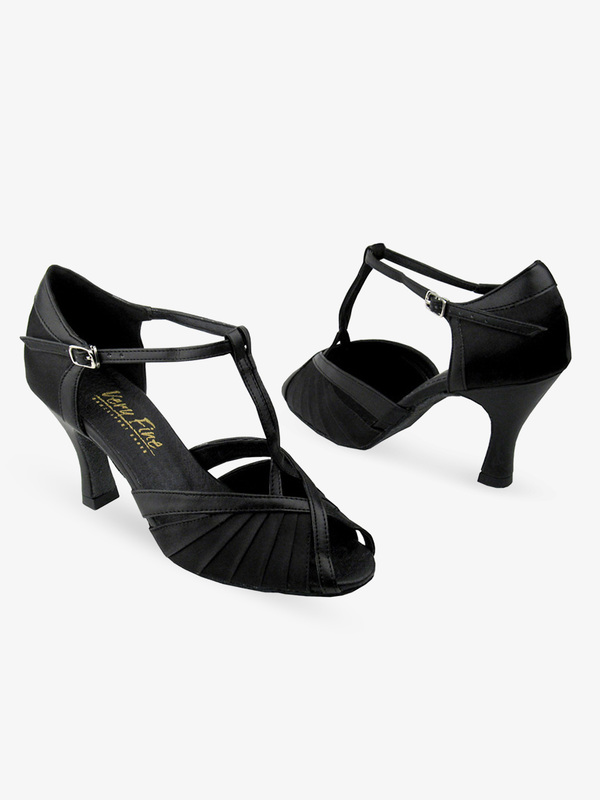 It is uniquely designed for social and Latin dancers. 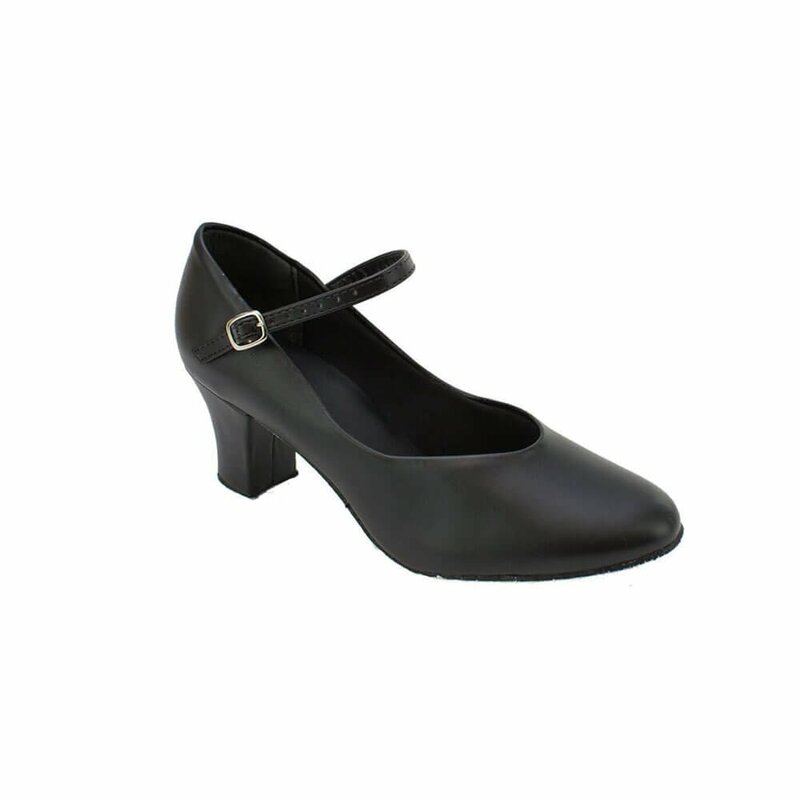 Manufacture closely exam each pair of shoes in USA provide the best quality and nearly zero defective rate. 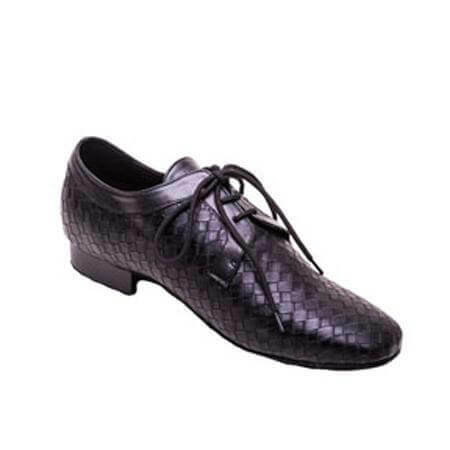 Every GOGO Dance Shoes come with a free carry bag. 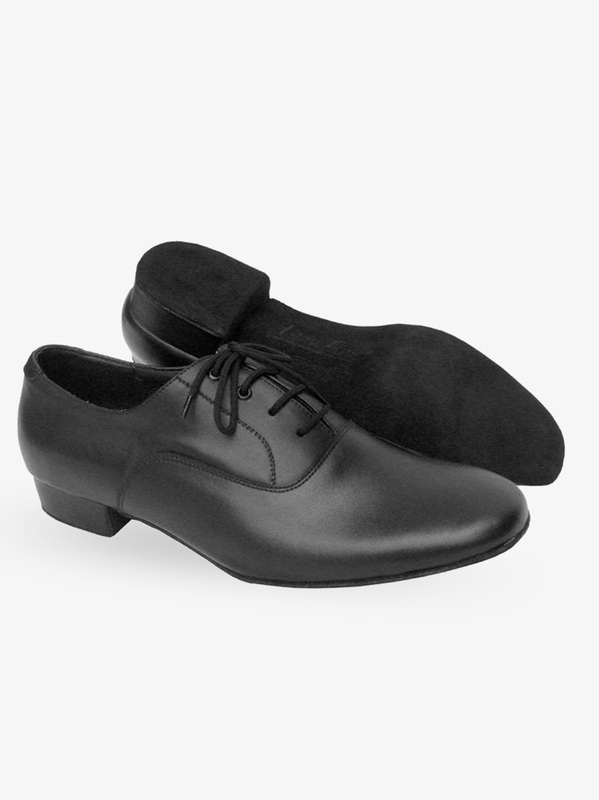 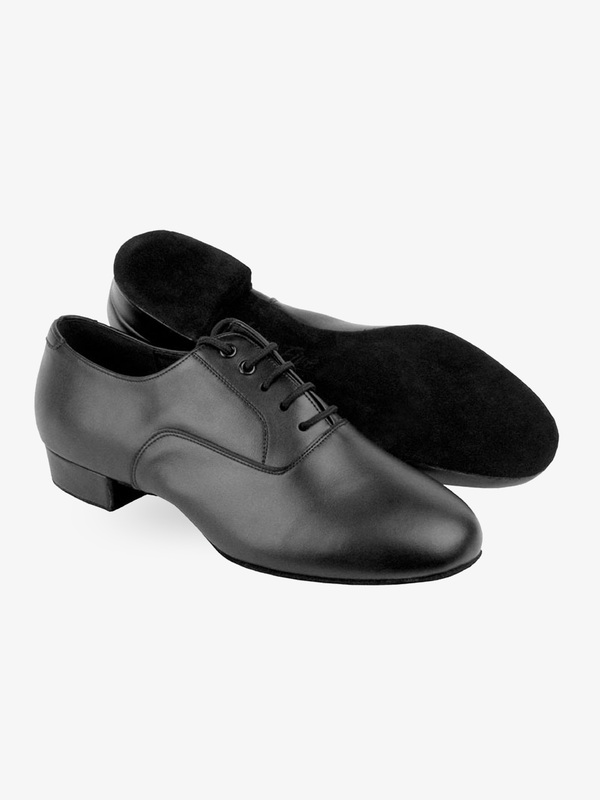 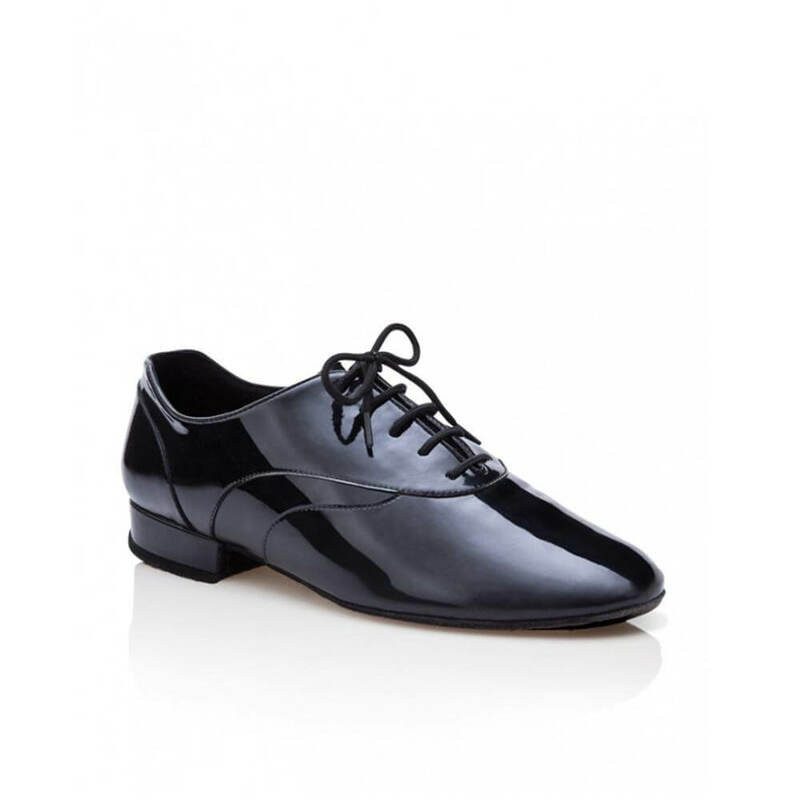 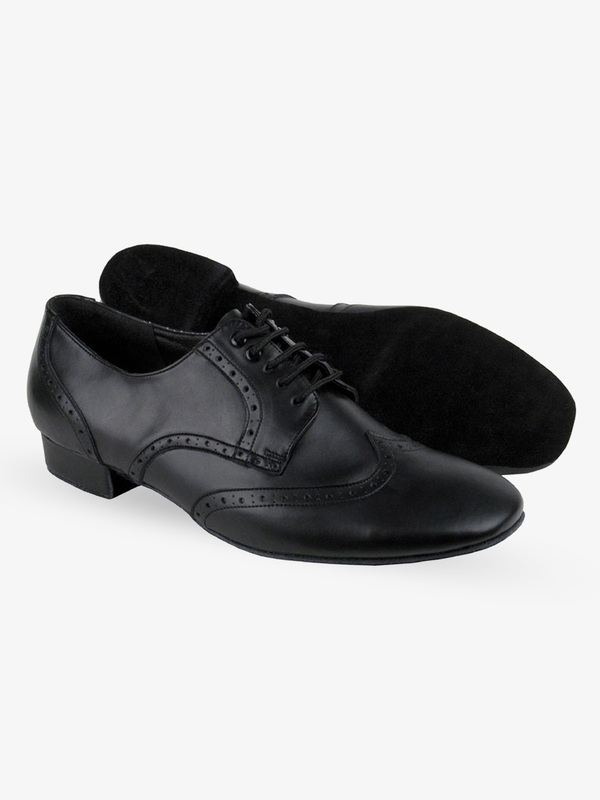 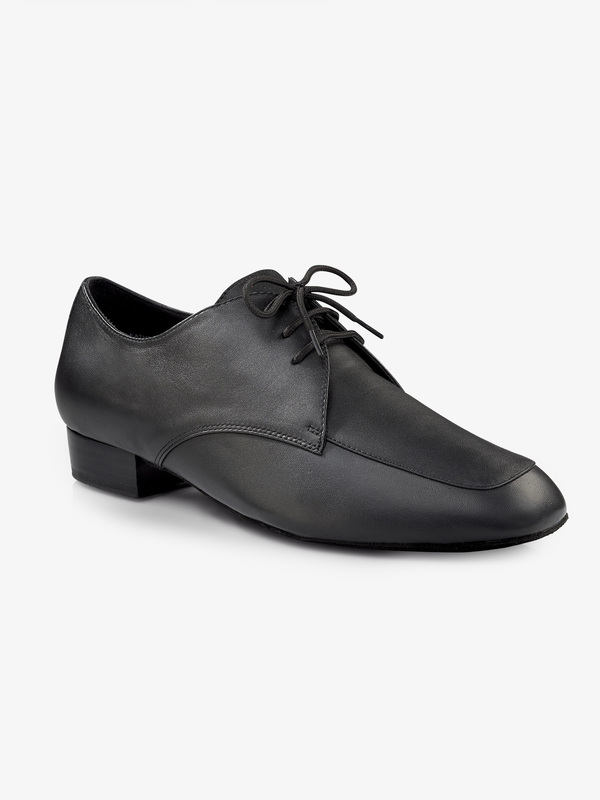 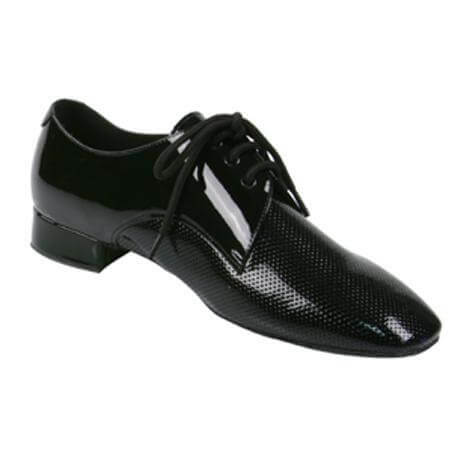 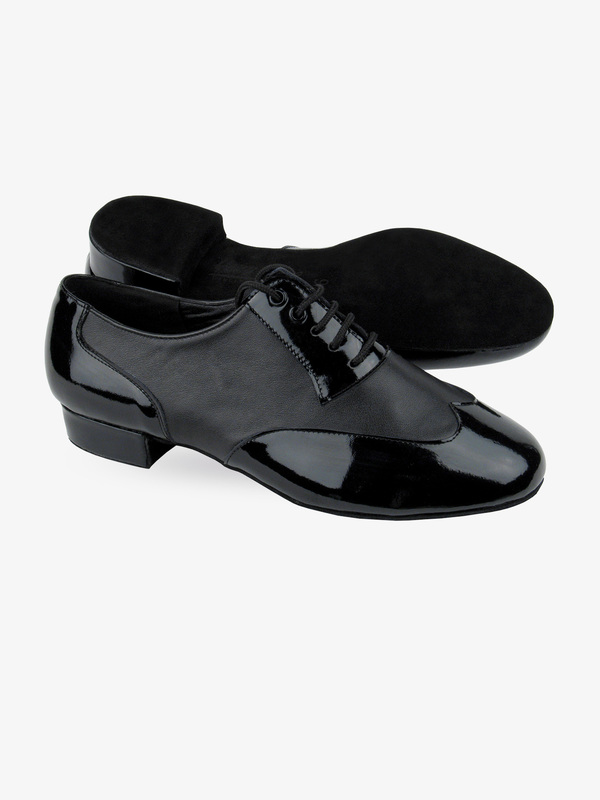 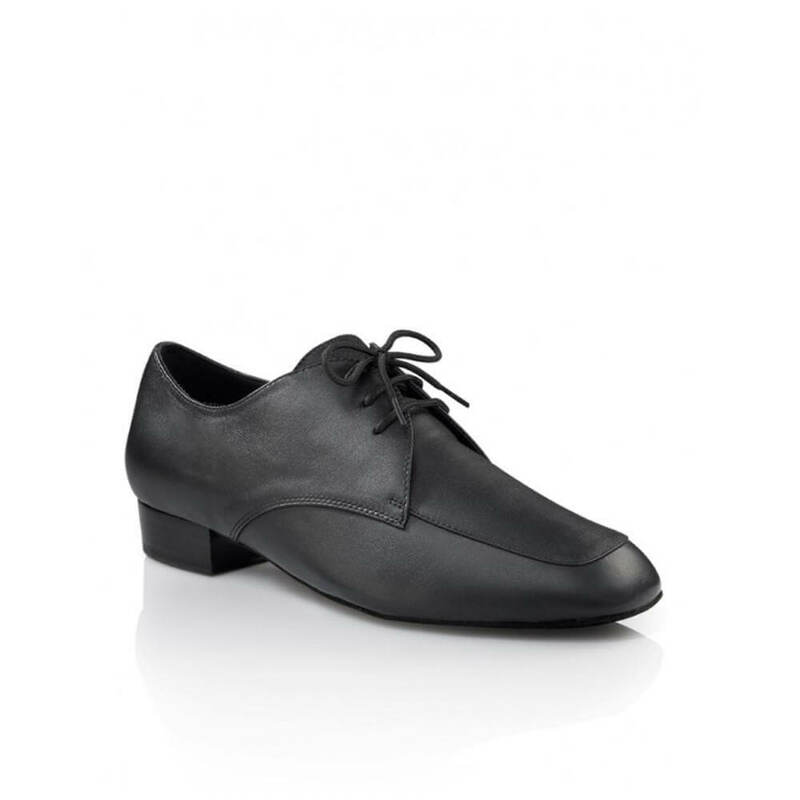 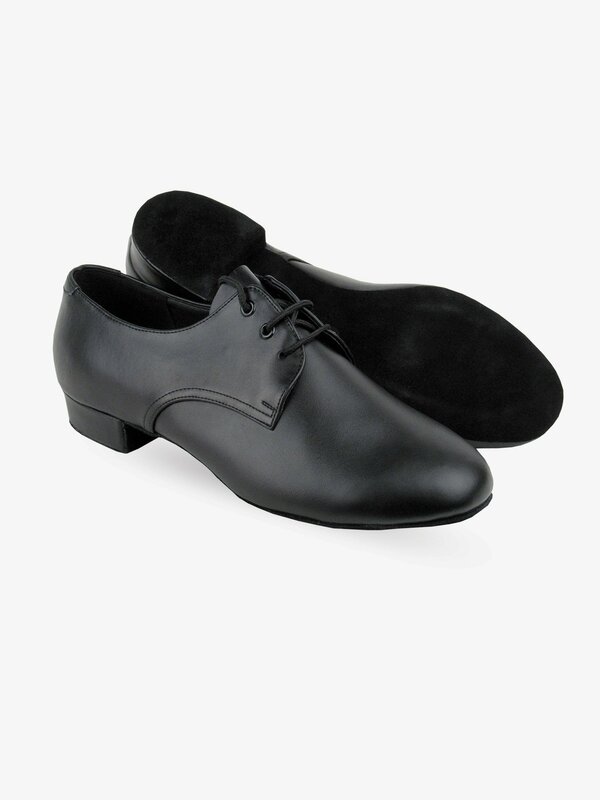 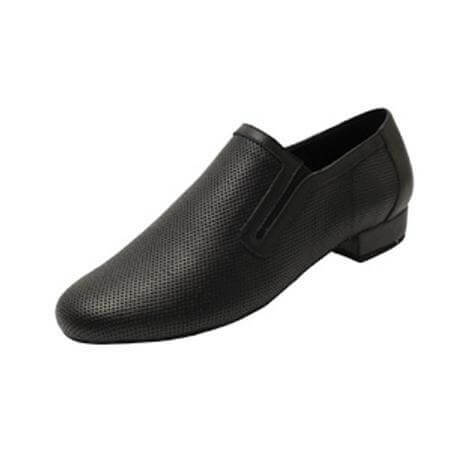 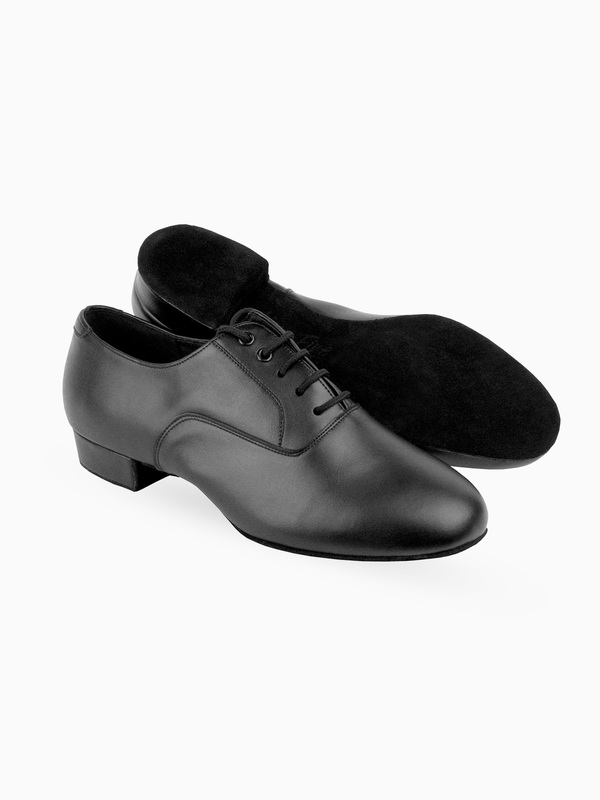 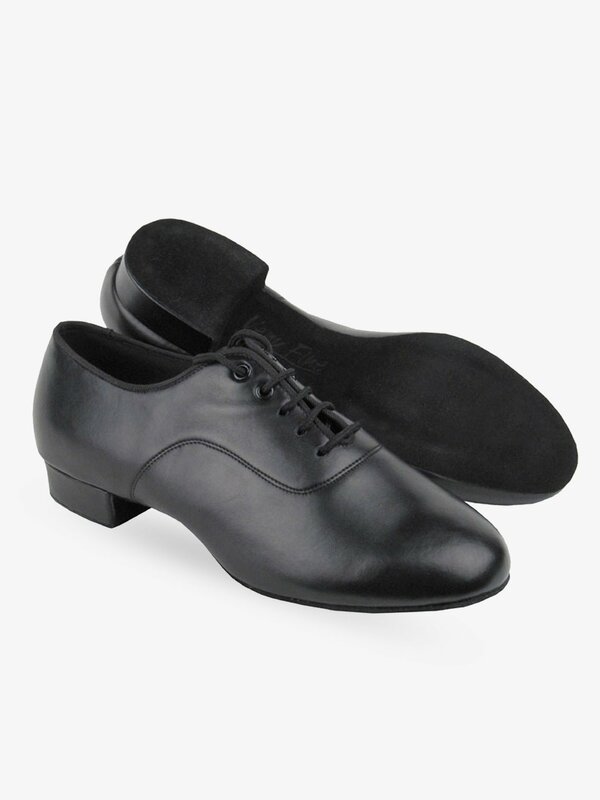 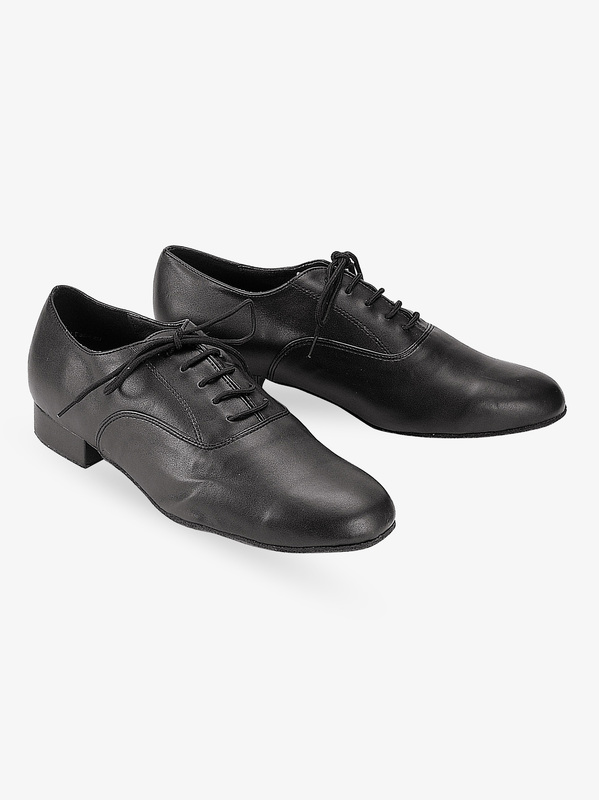 Capezio Mens Ben Standard Ballroom Shoes BR116: The Ben-inch features a supple calf skin leather upper, square toe profile, cushioned insole and heel, poly cotton laces designed to stay tight and a suede sole. 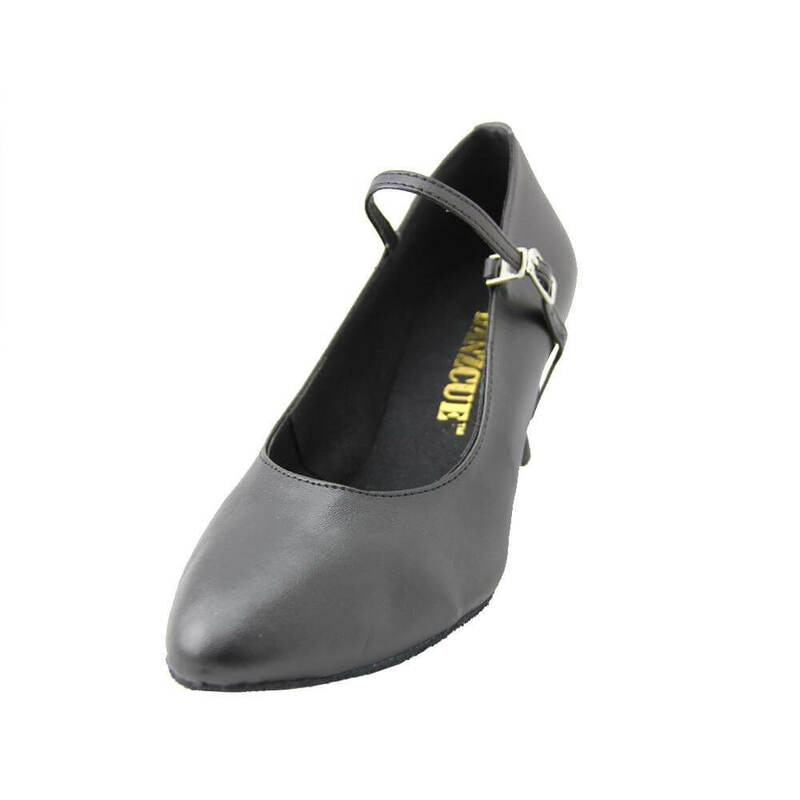 Includes shoe bag! 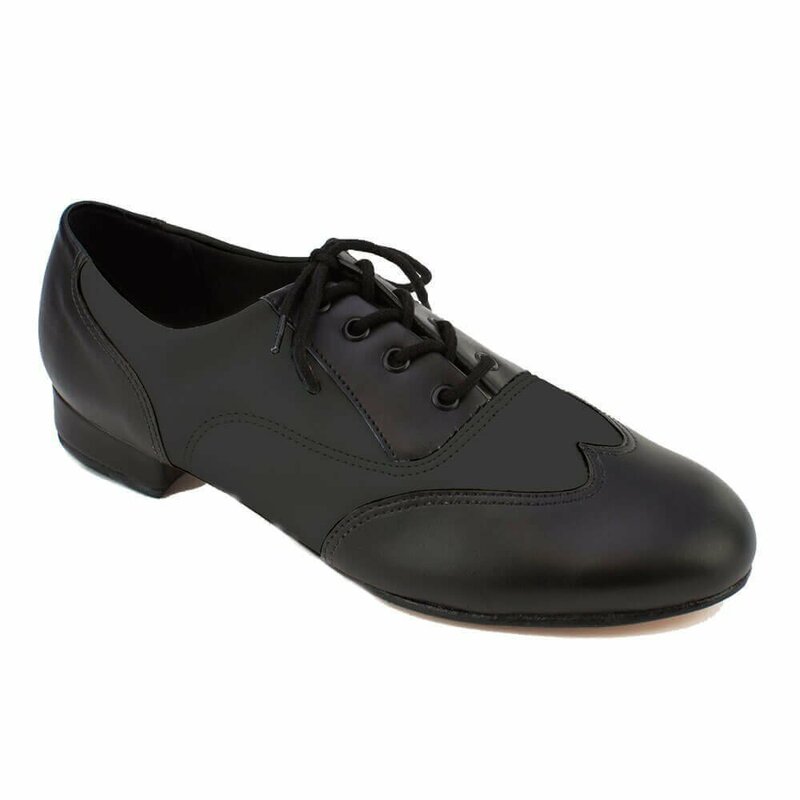 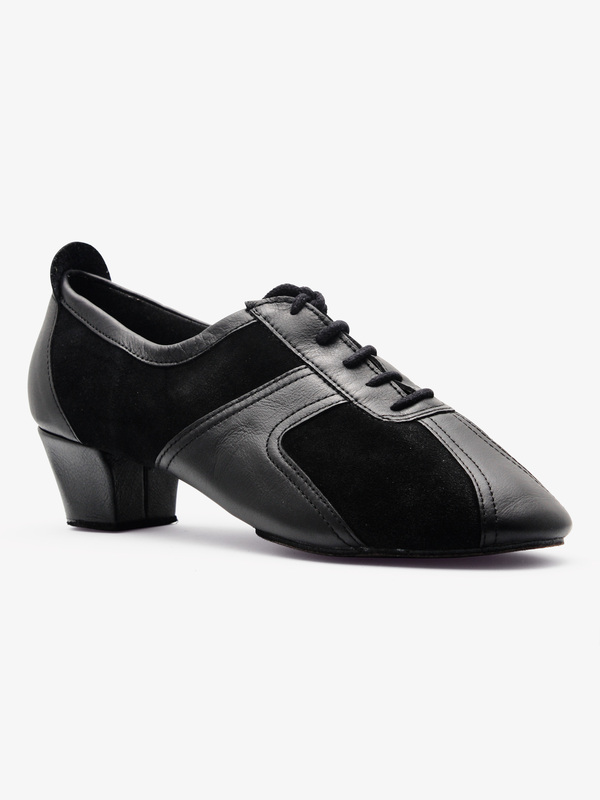 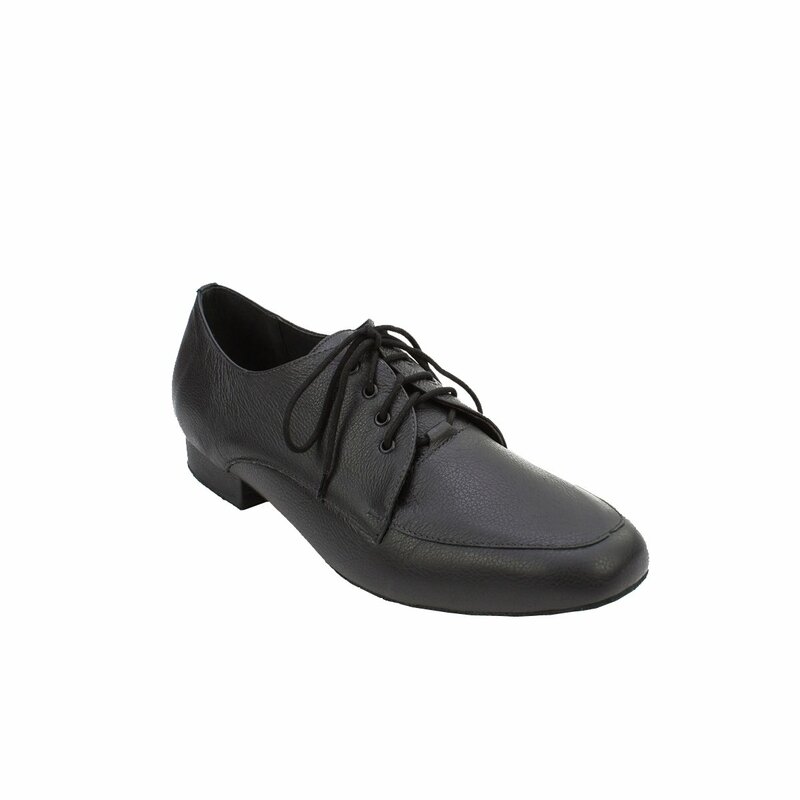 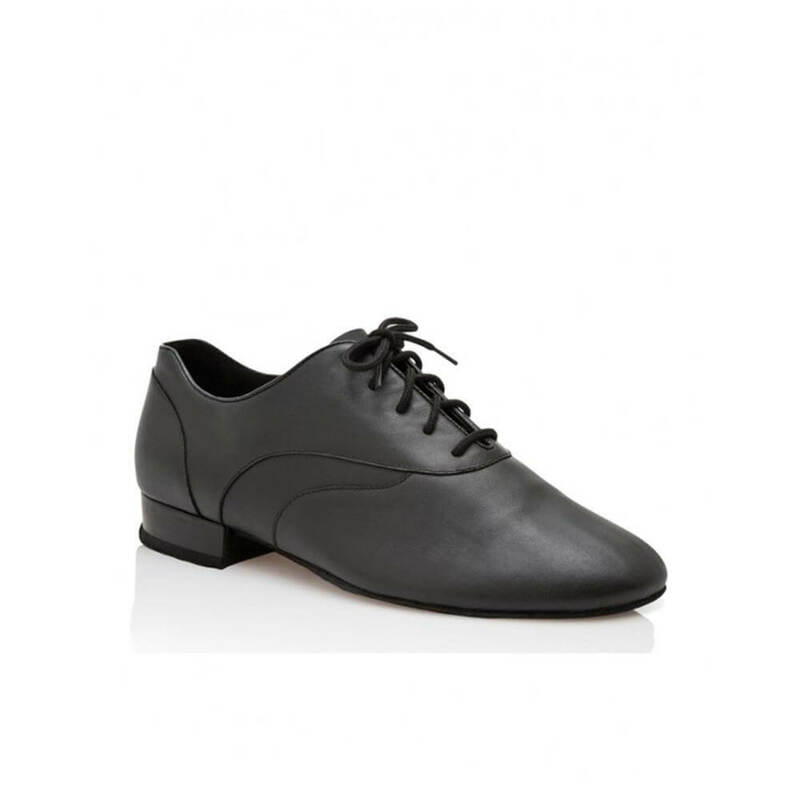 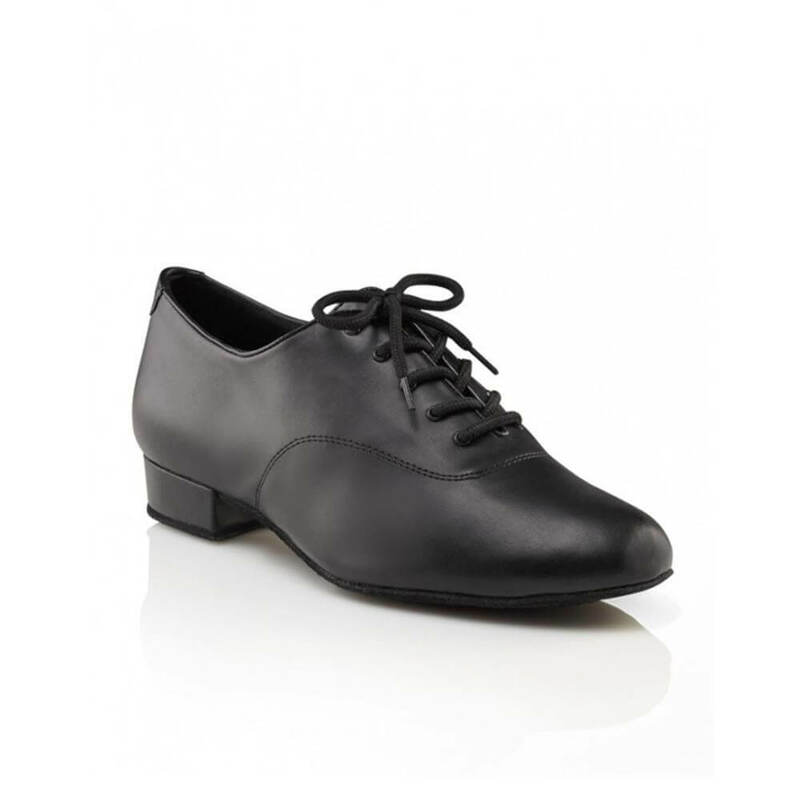 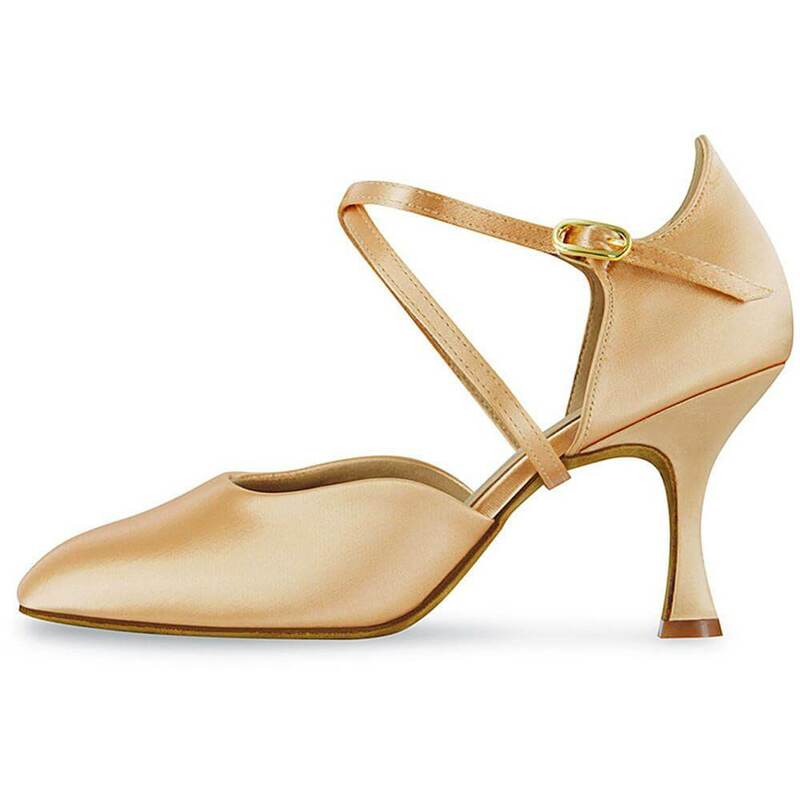 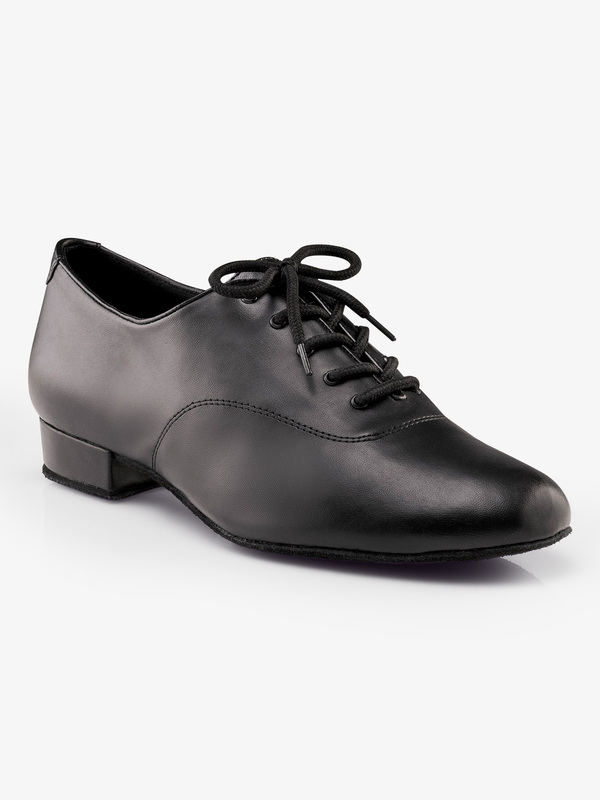 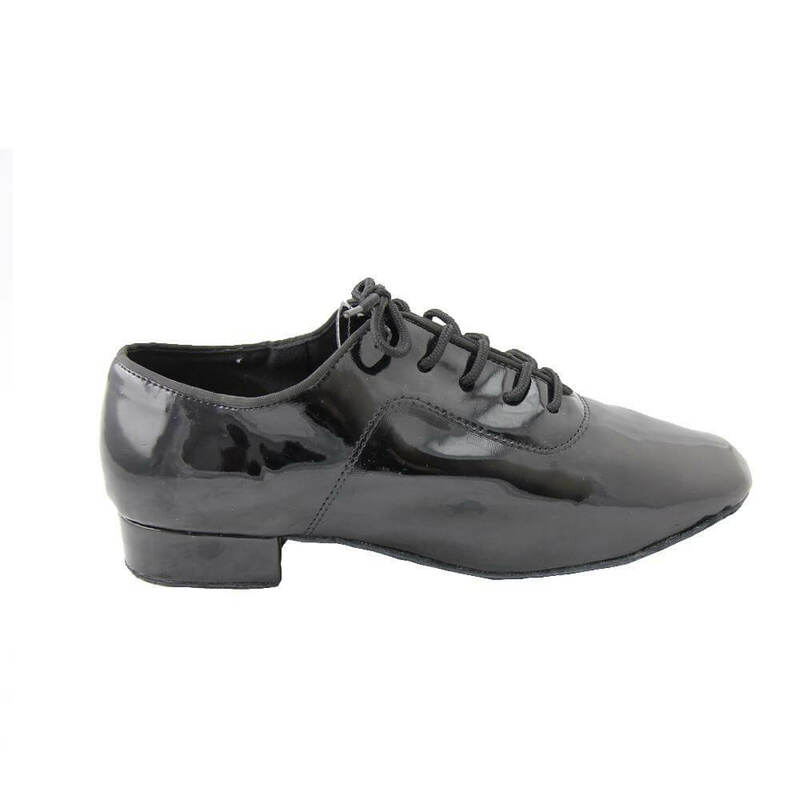 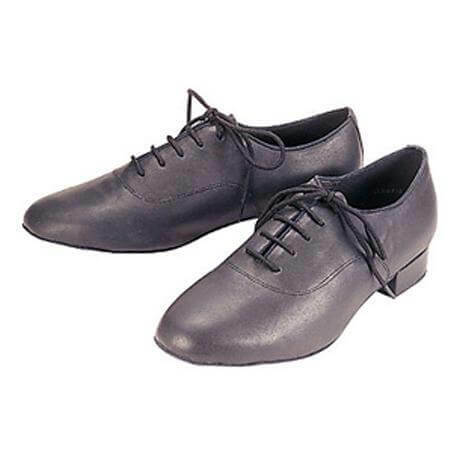 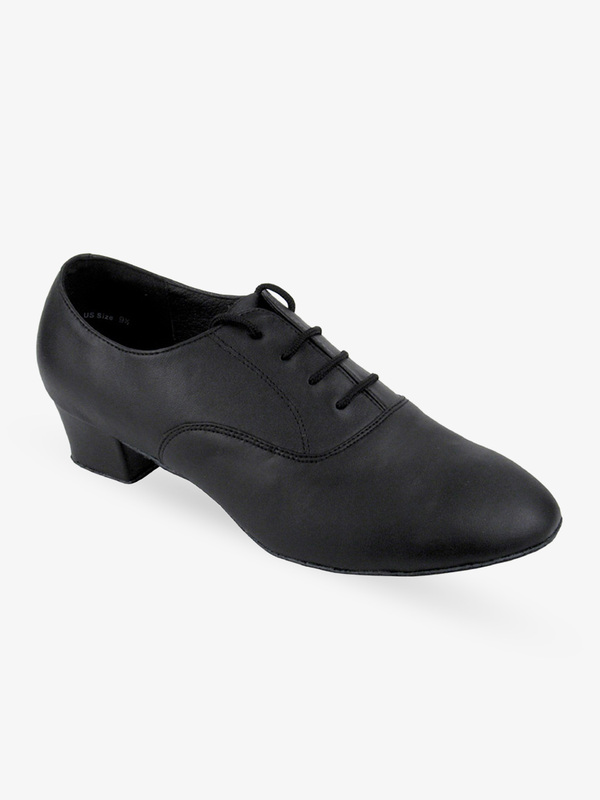 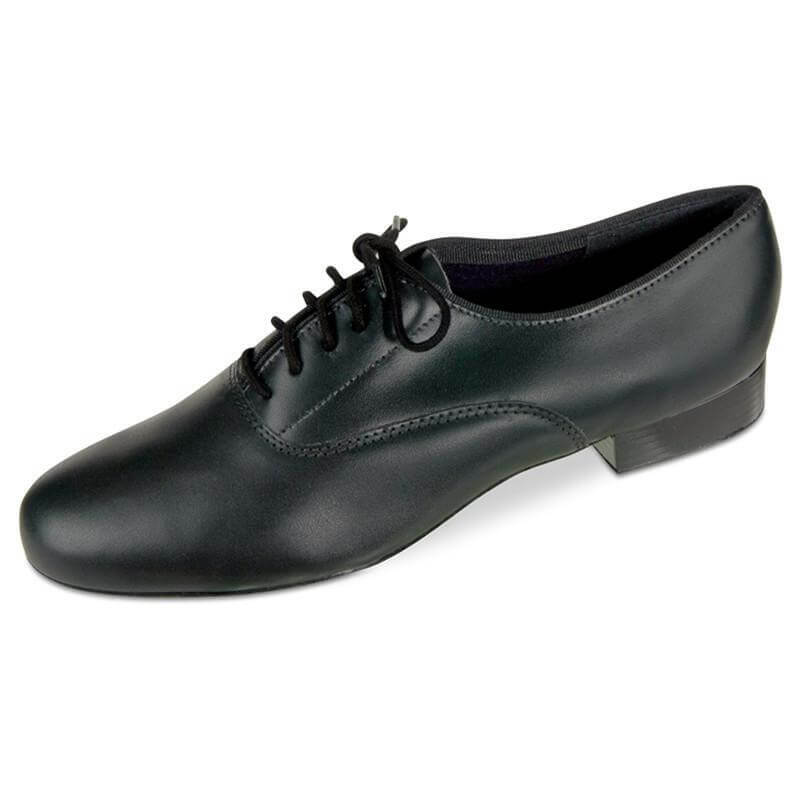 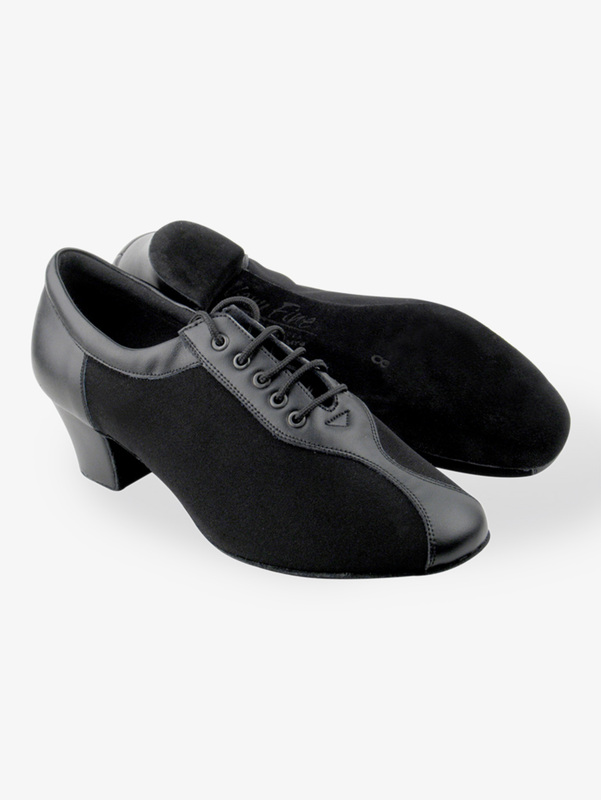 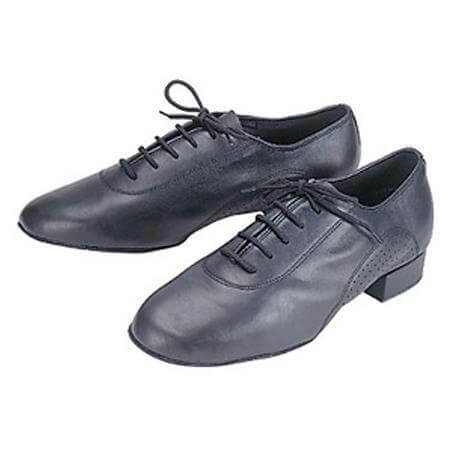 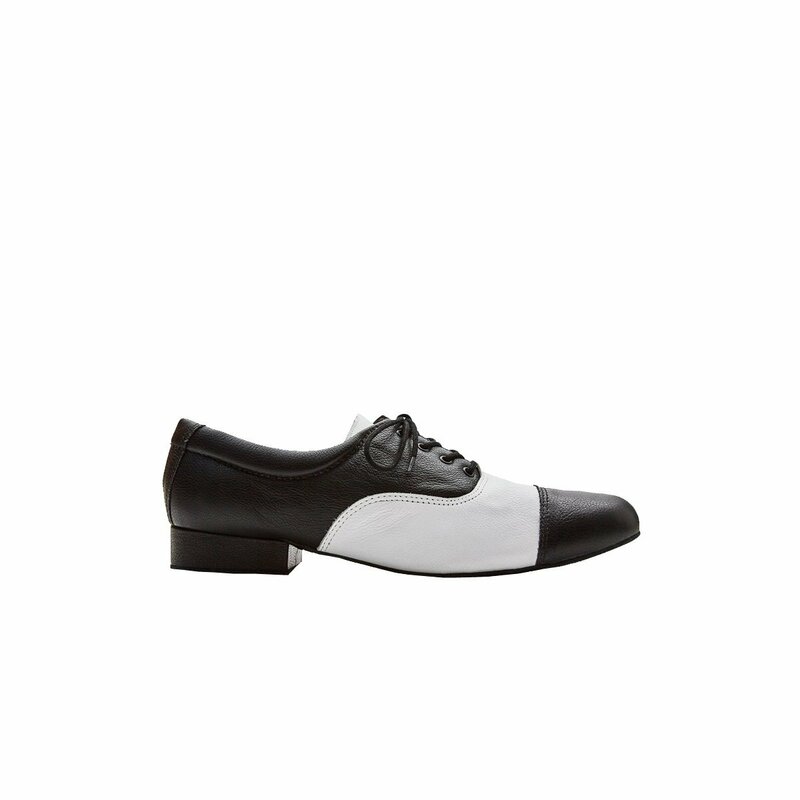 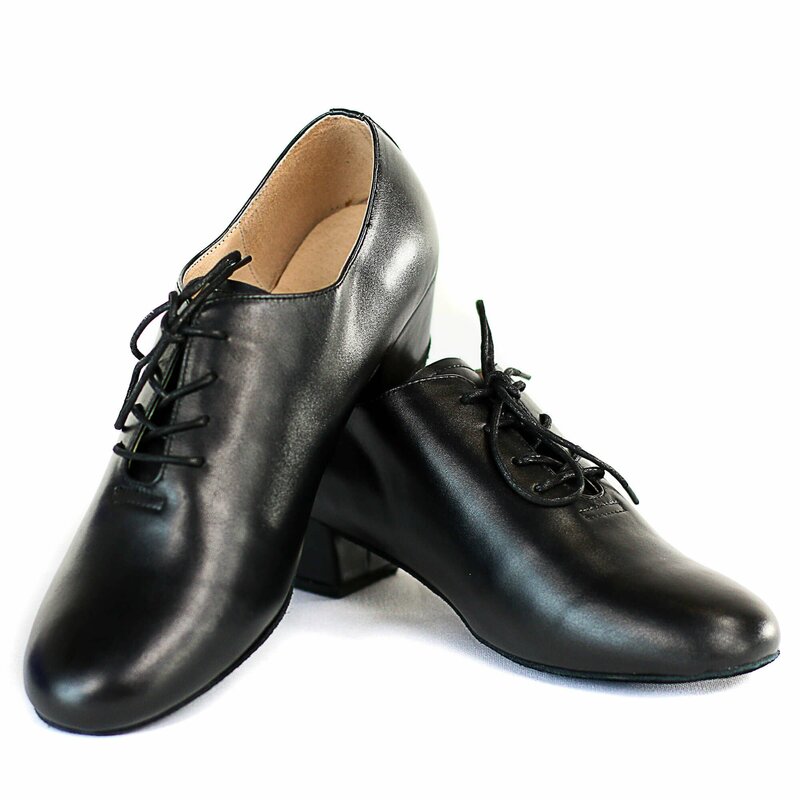 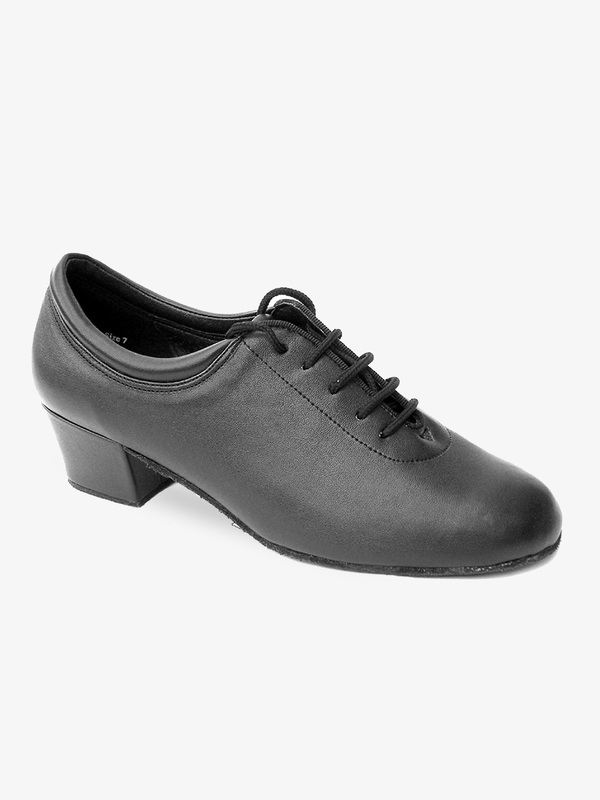 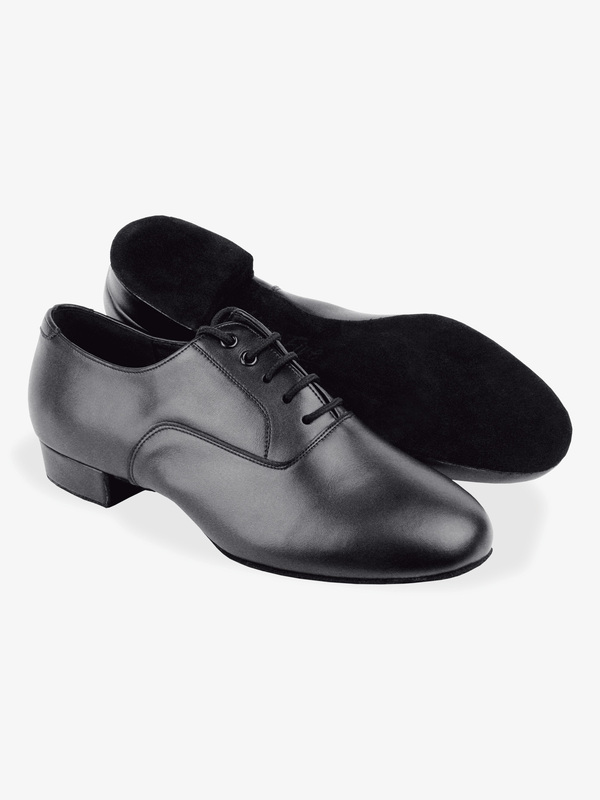 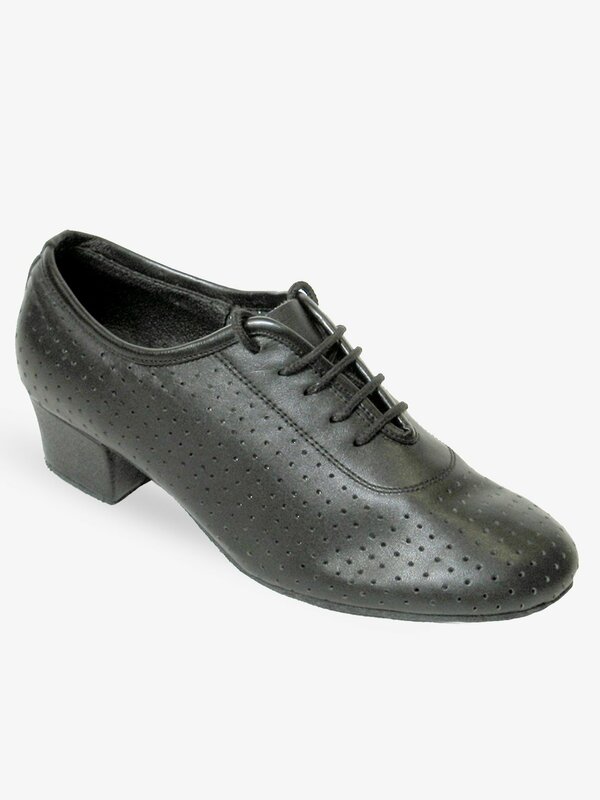 Capezio Adult Unisex 1.25 Practice Ballroom Shoes BR74: This unisex practice ballroom shoe features a classic Oxford style canvas upper, a 1.25-inch canvas wrapped Cuban heel, absorbent cotton lining, a 3/4 flexible shank, a beveled cushioned insole and a suede sole. 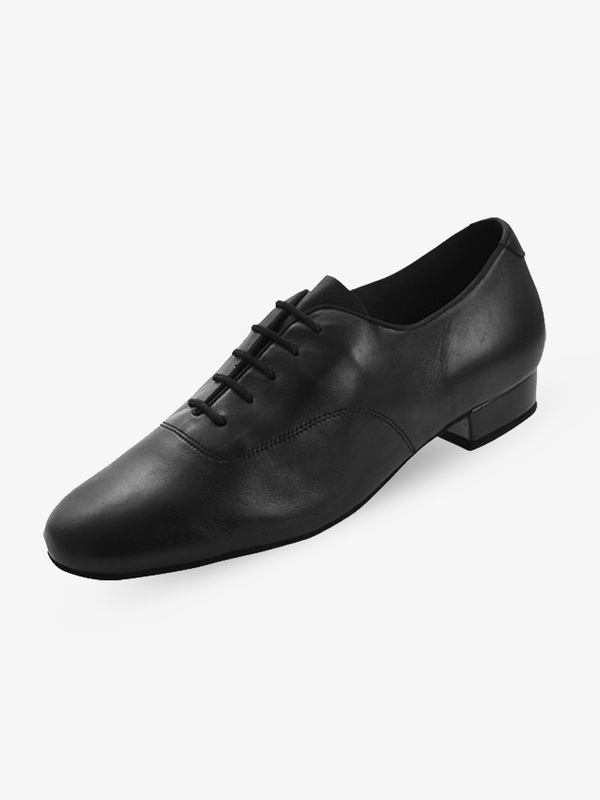 Great for men and women! 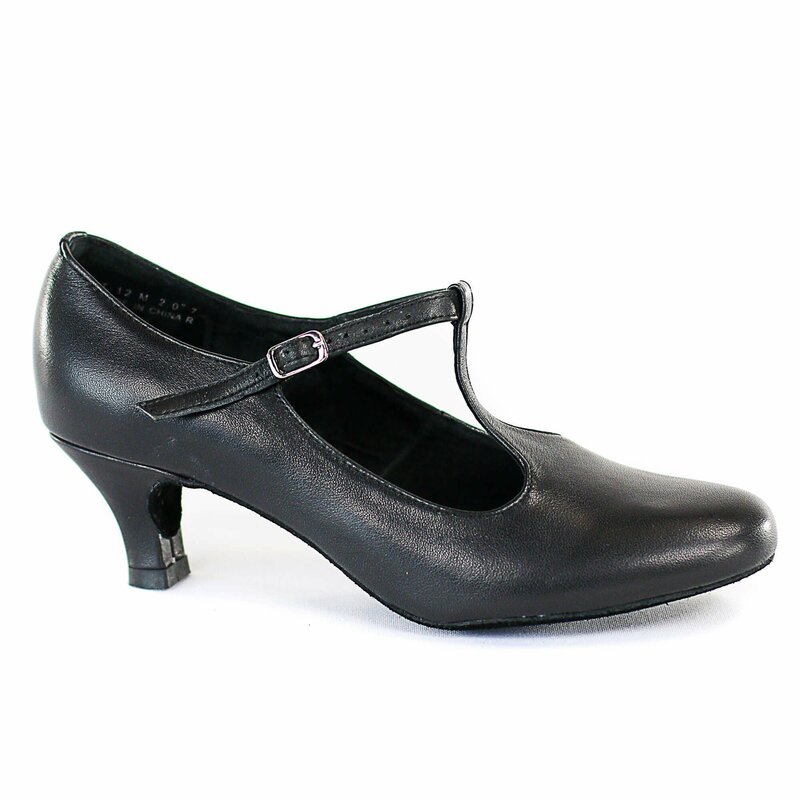 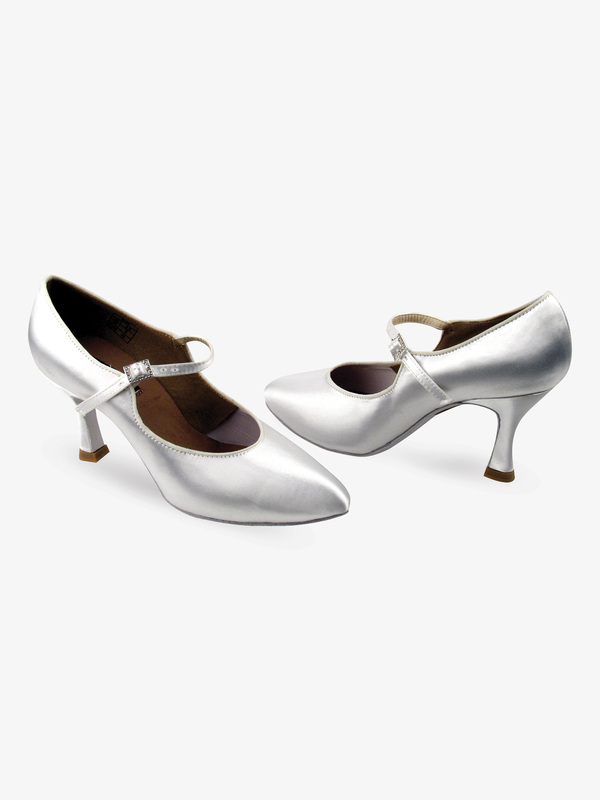 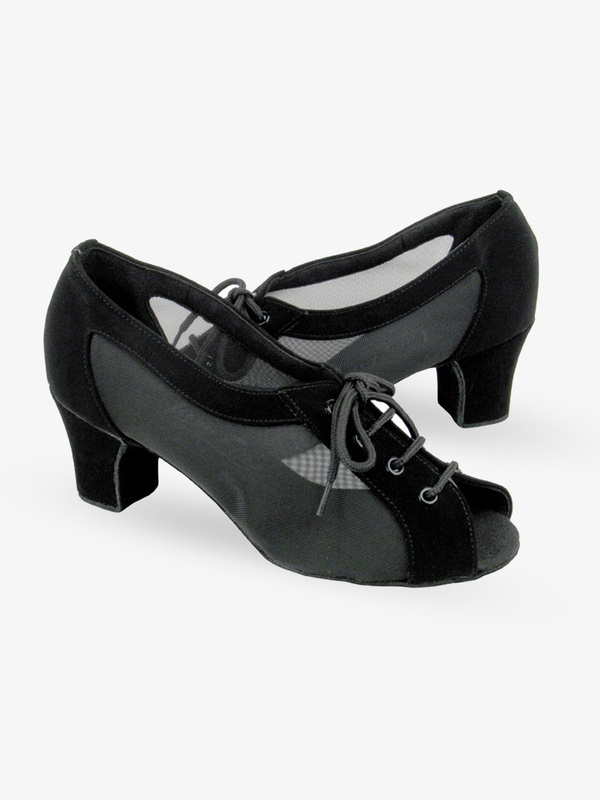 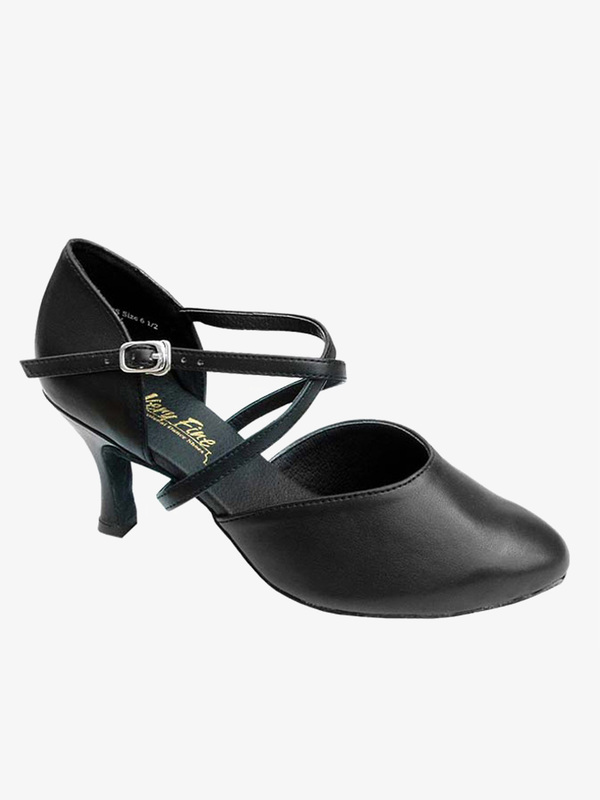 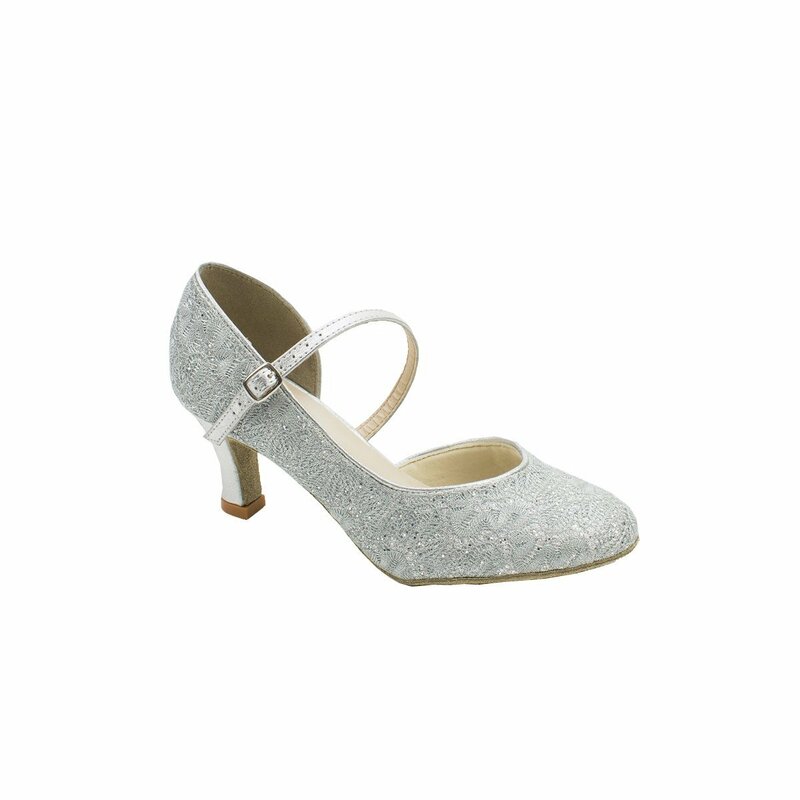 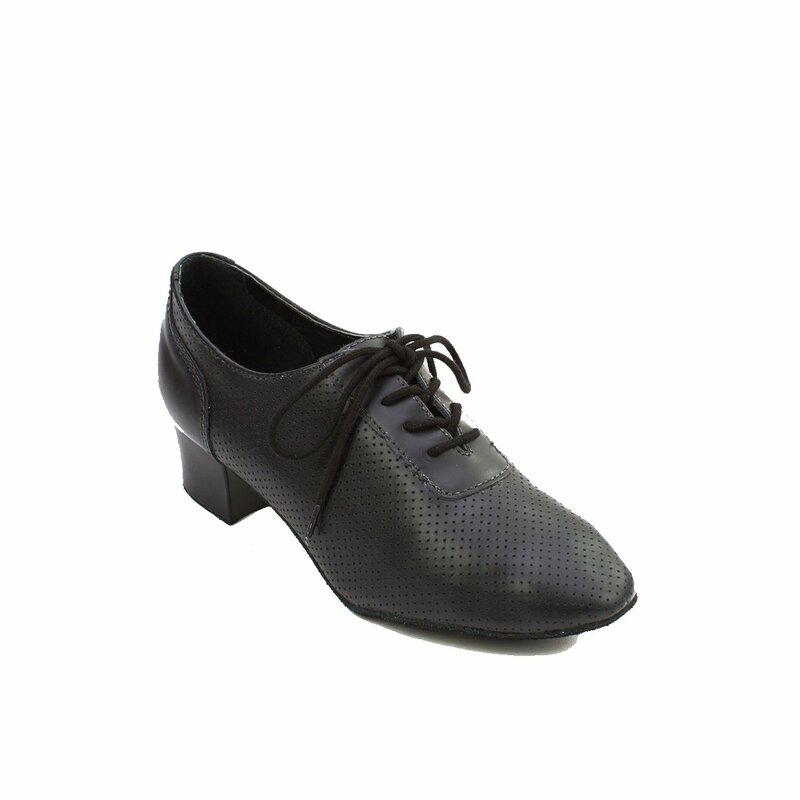 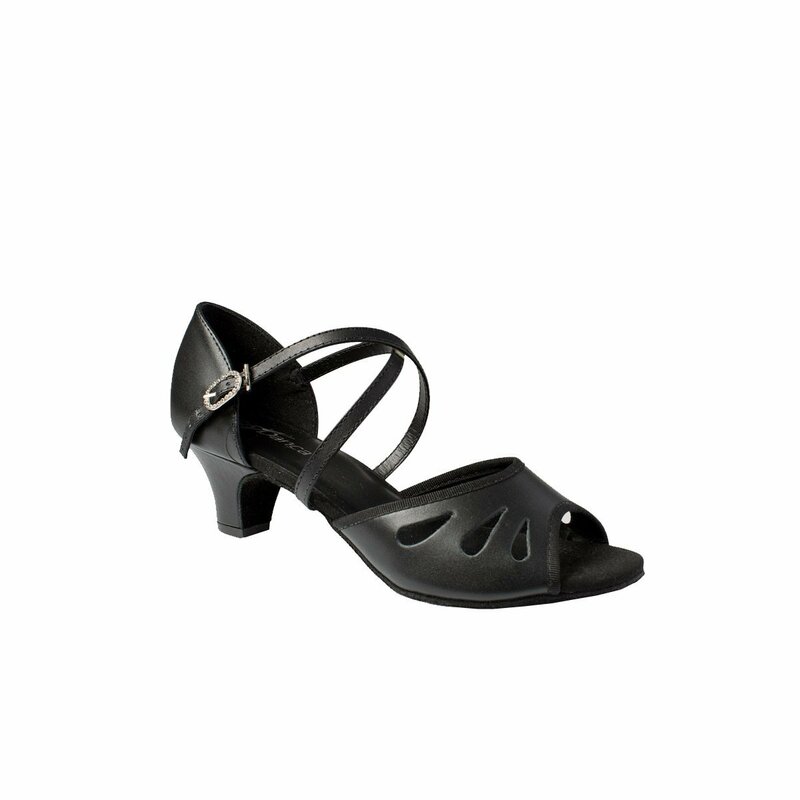 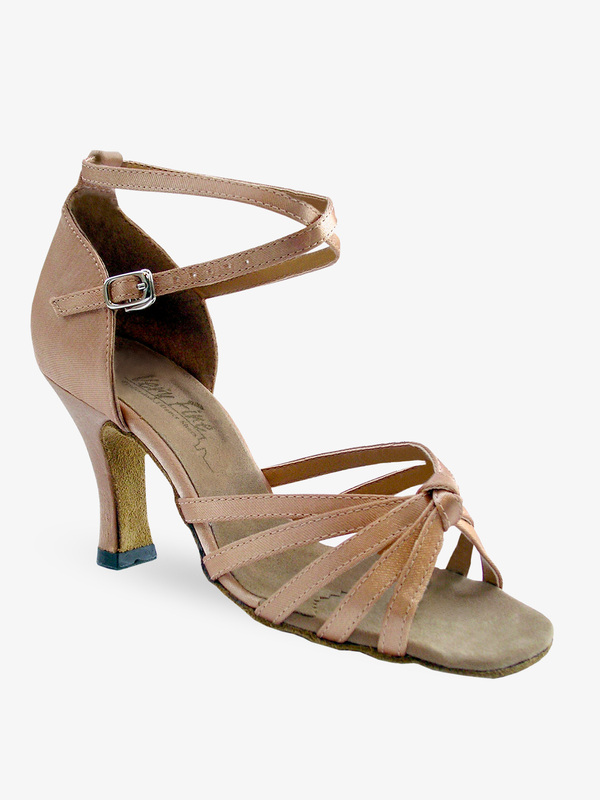 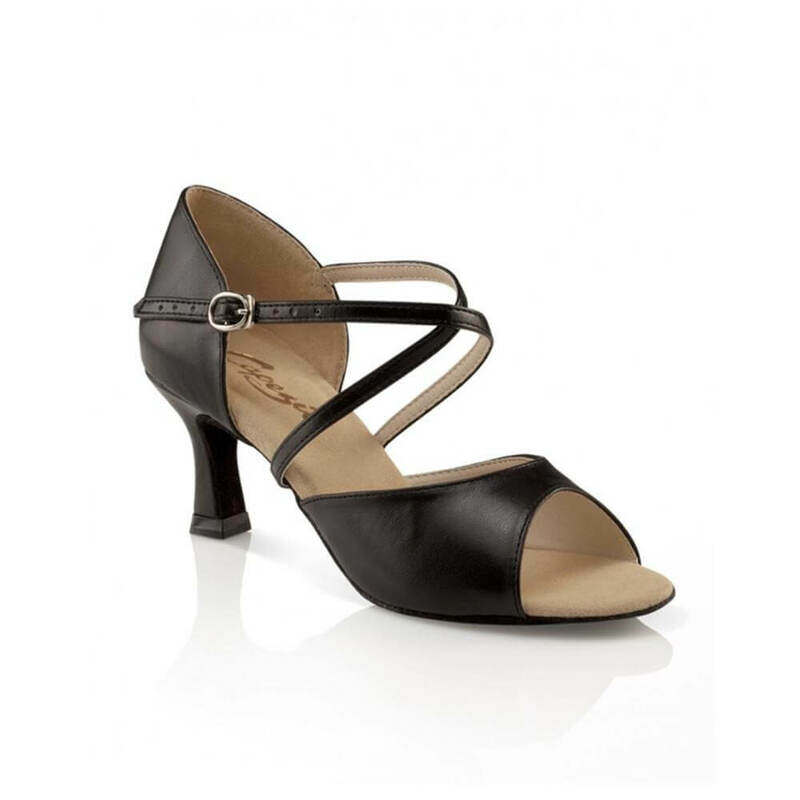 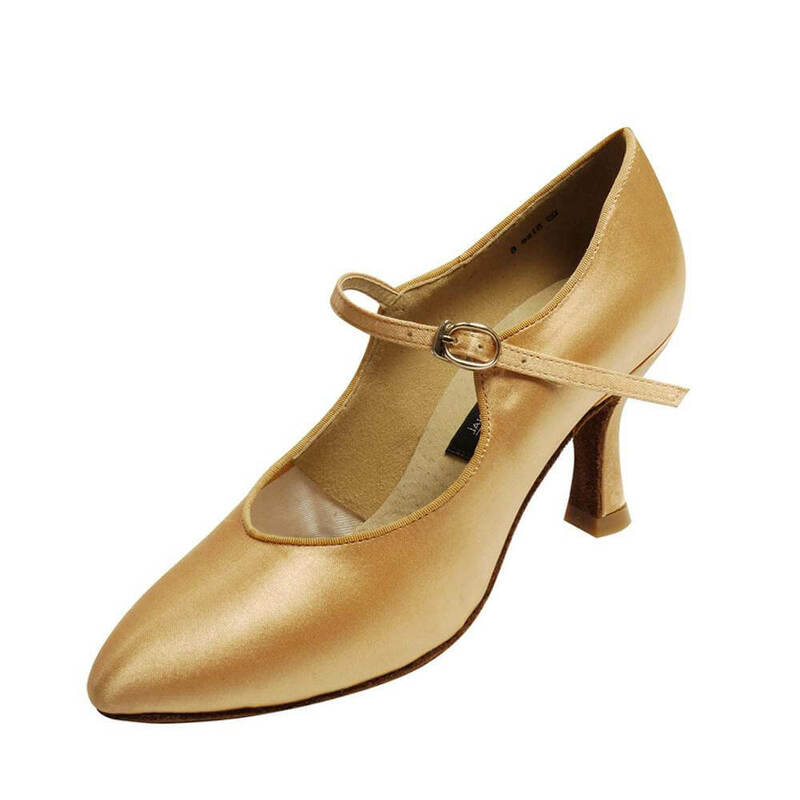 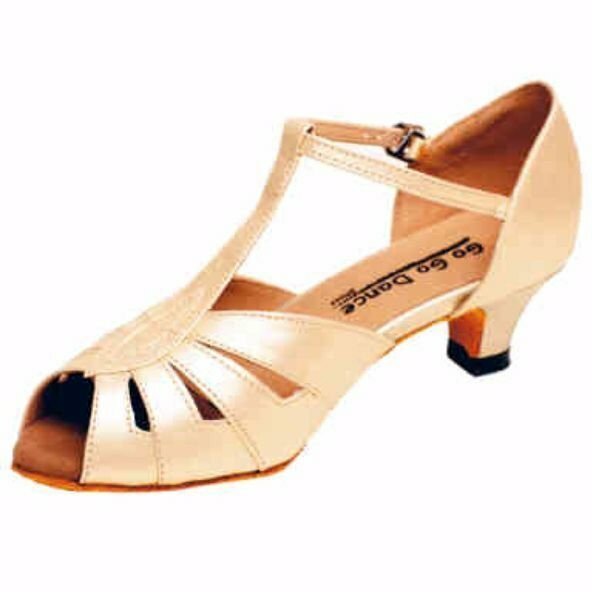 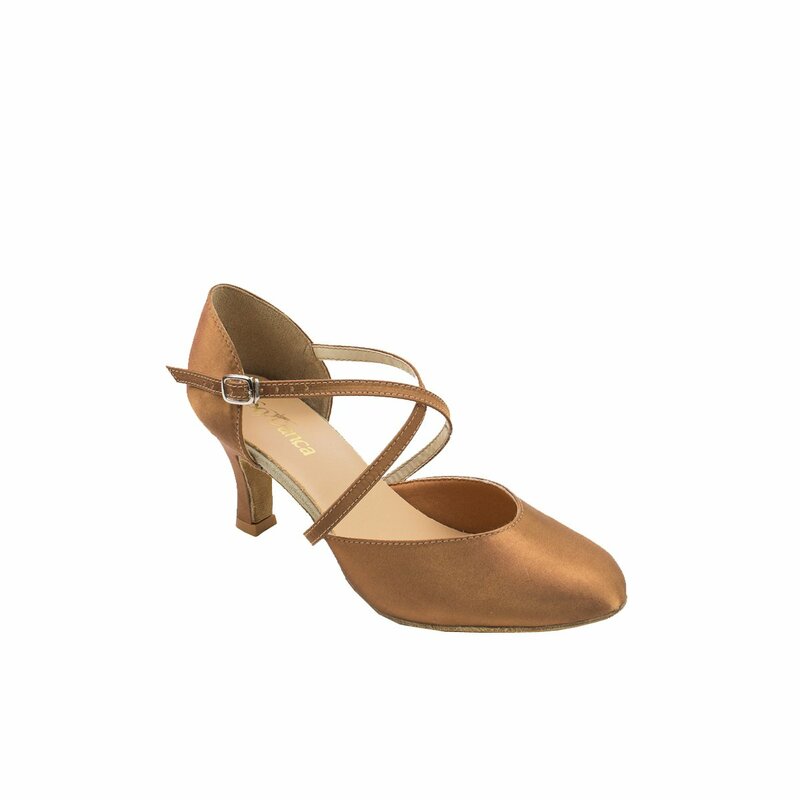 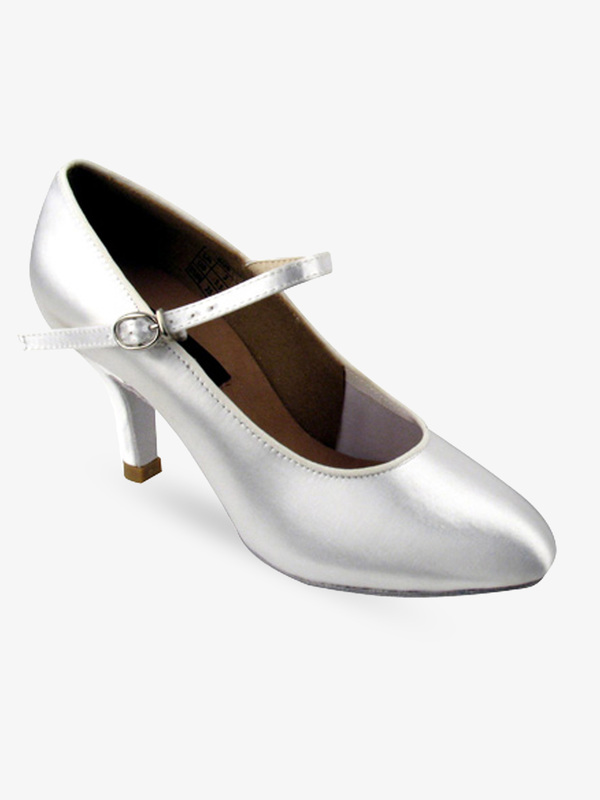 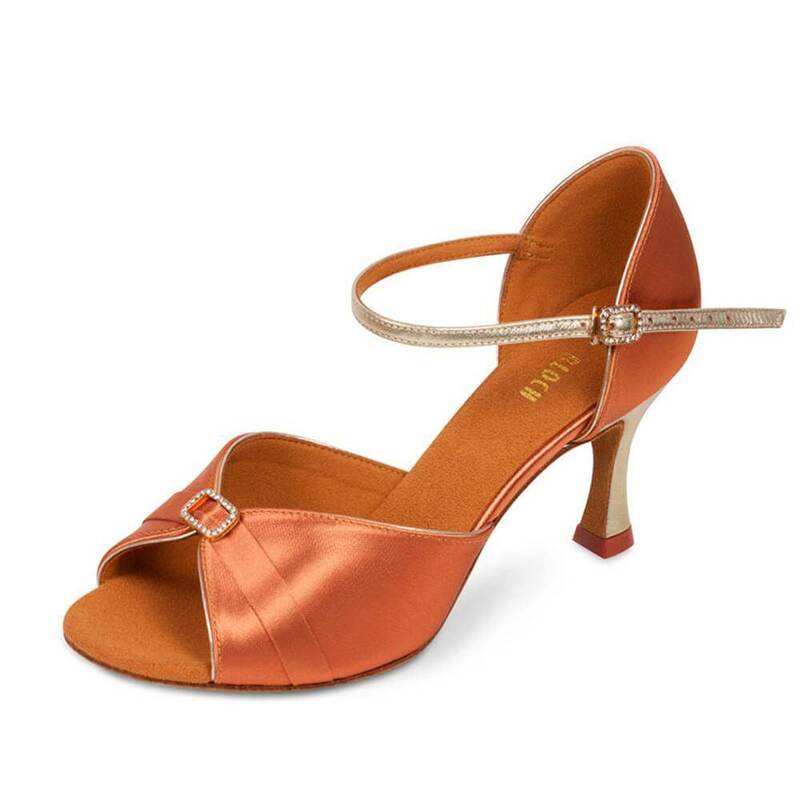 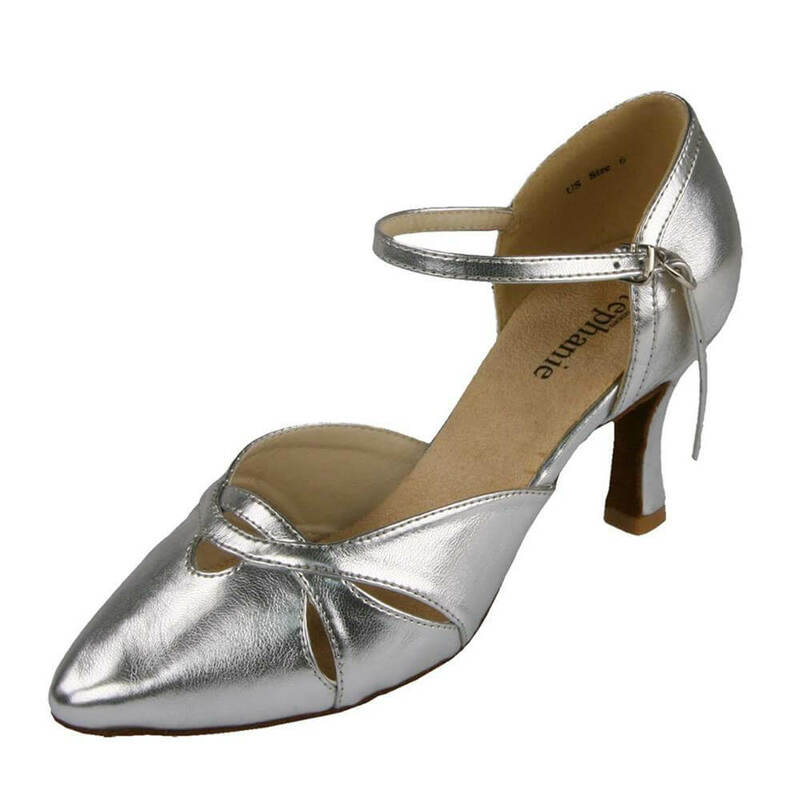 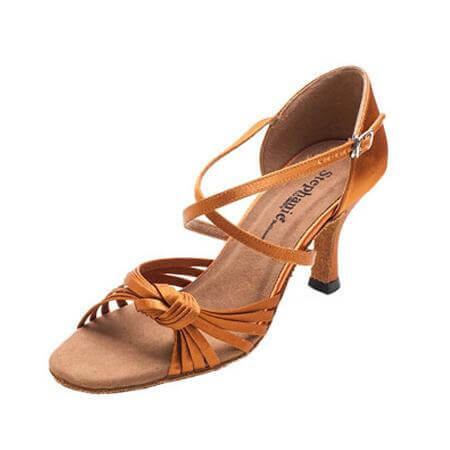 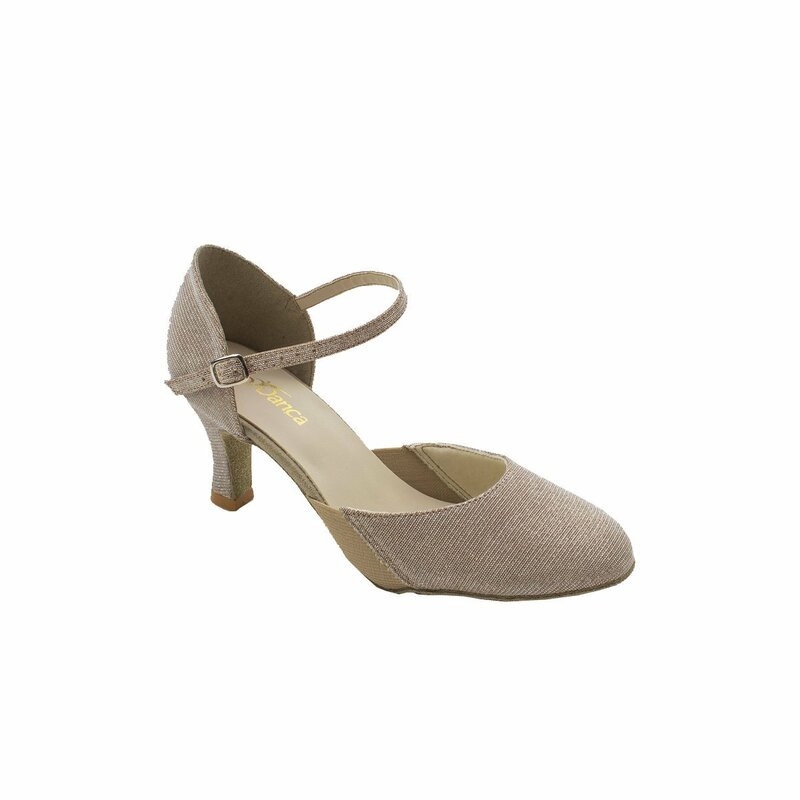 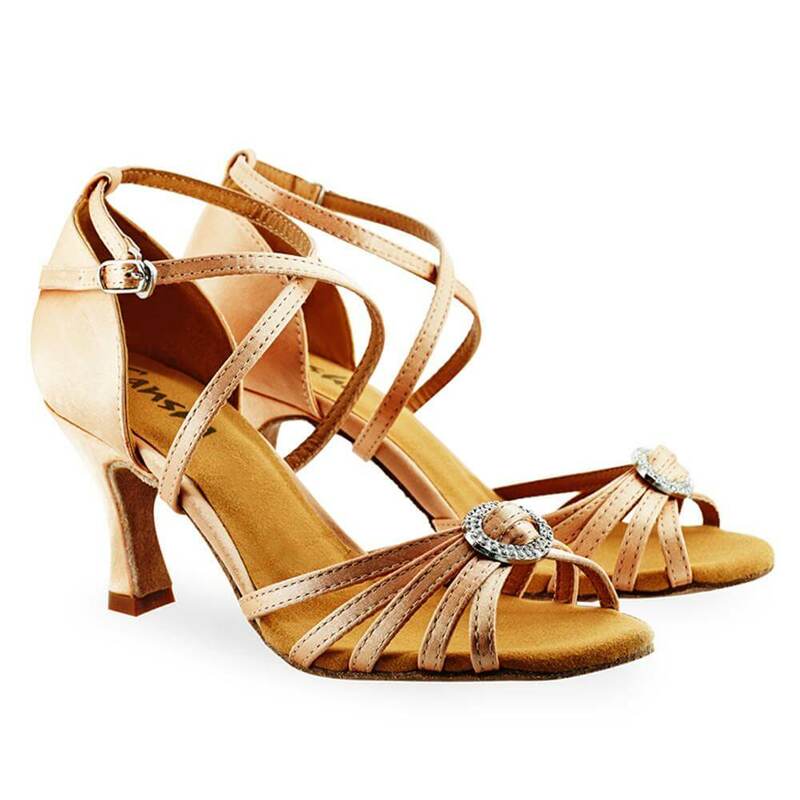 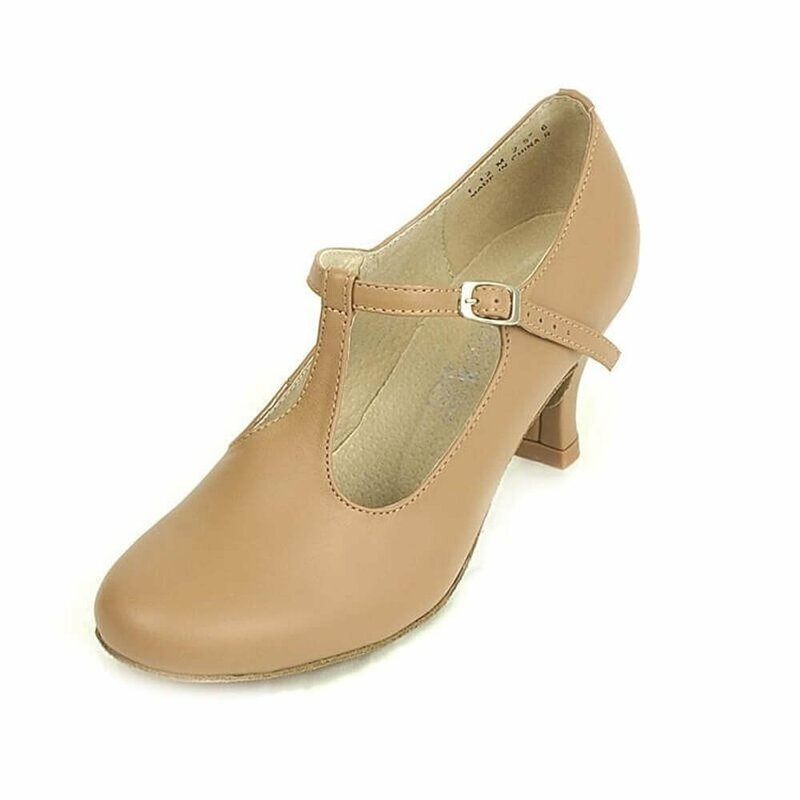 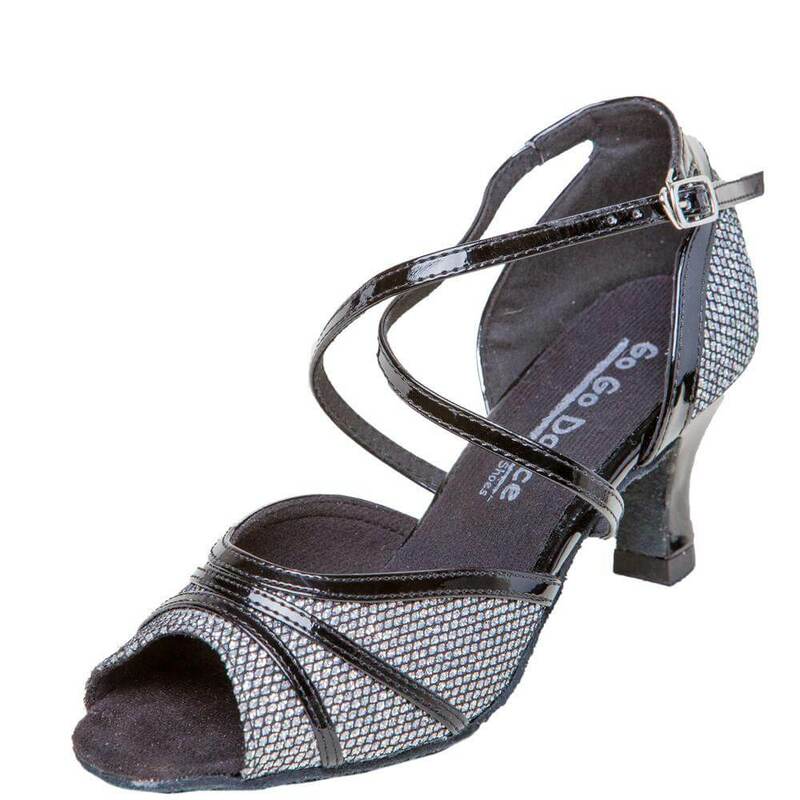 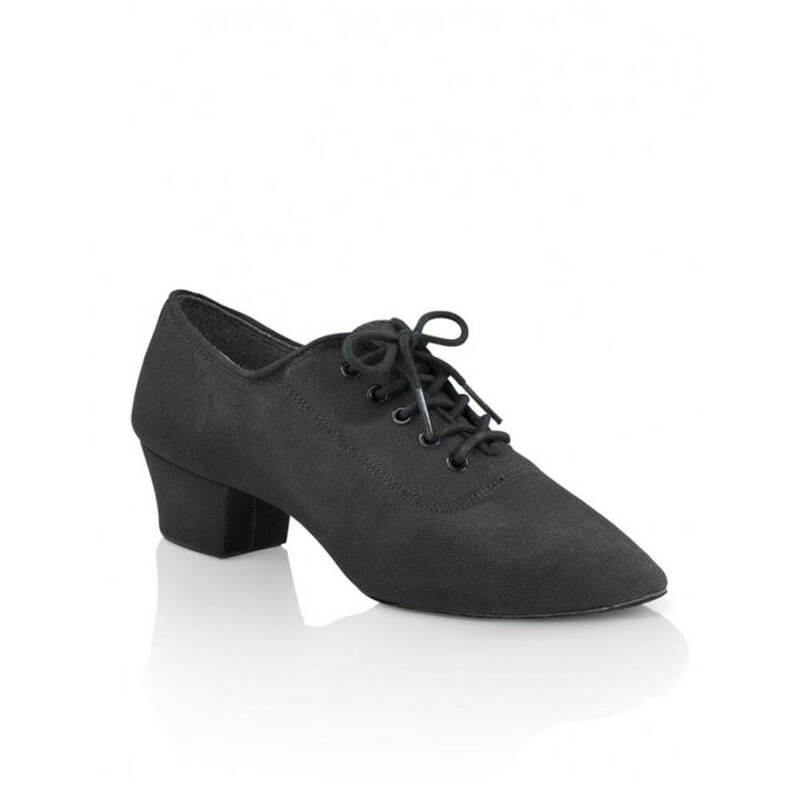 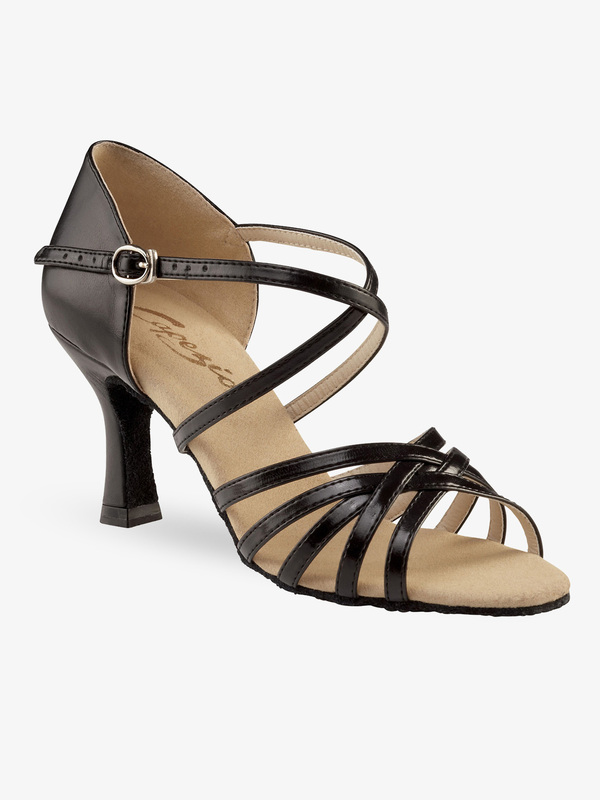 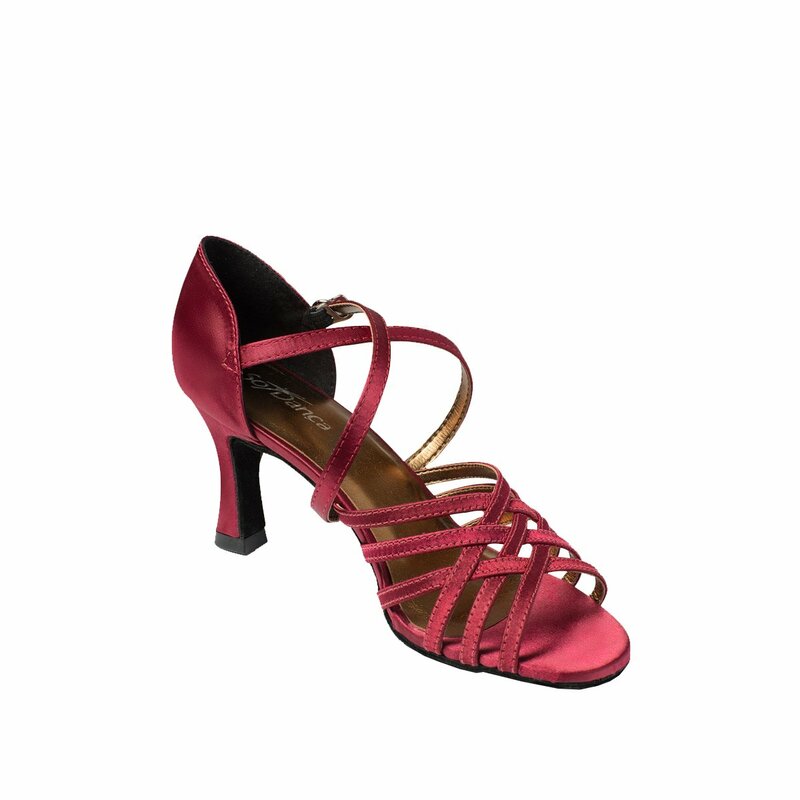 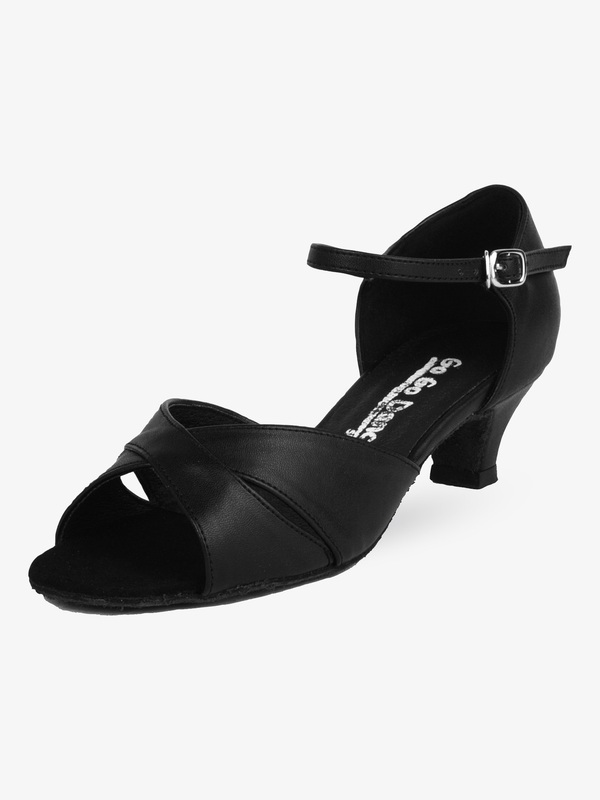 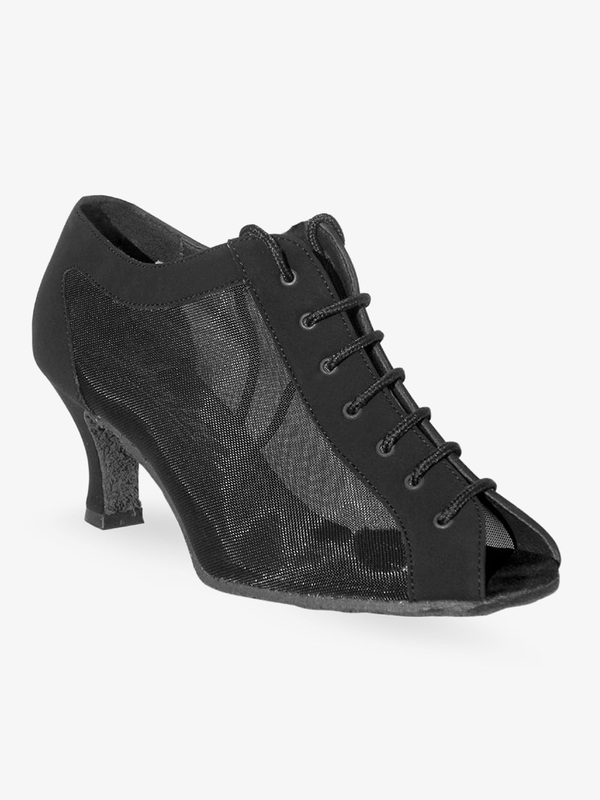 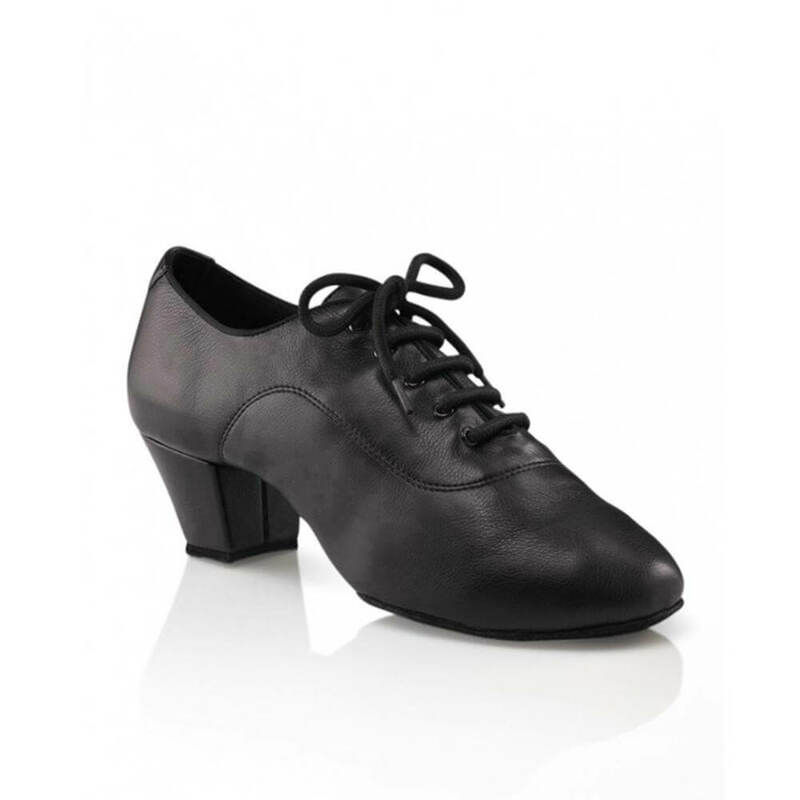 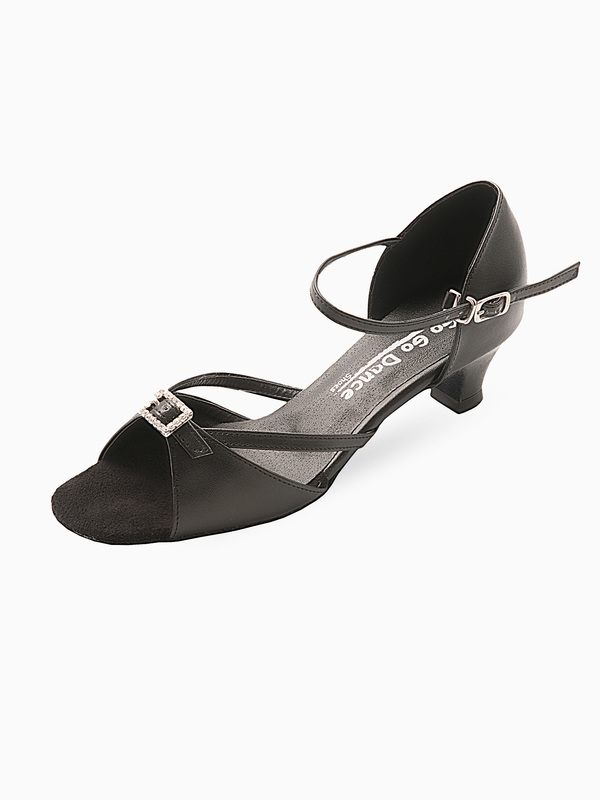 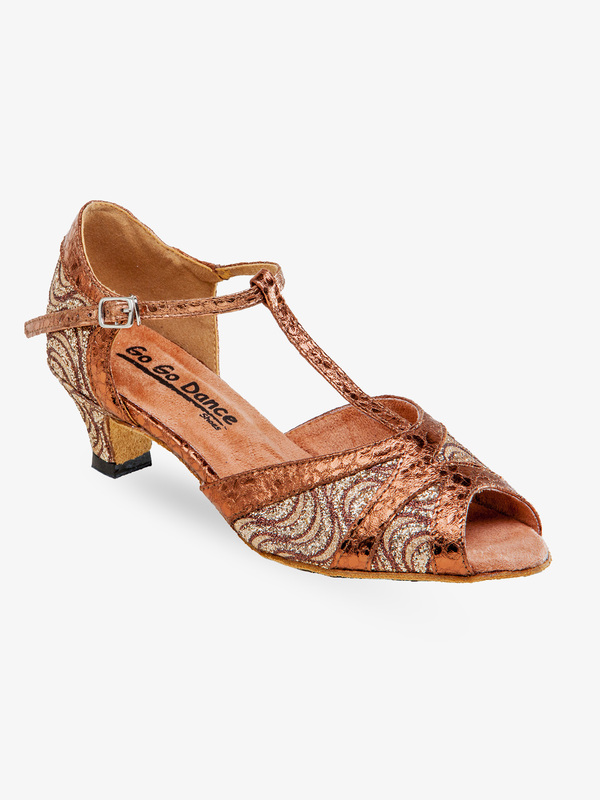 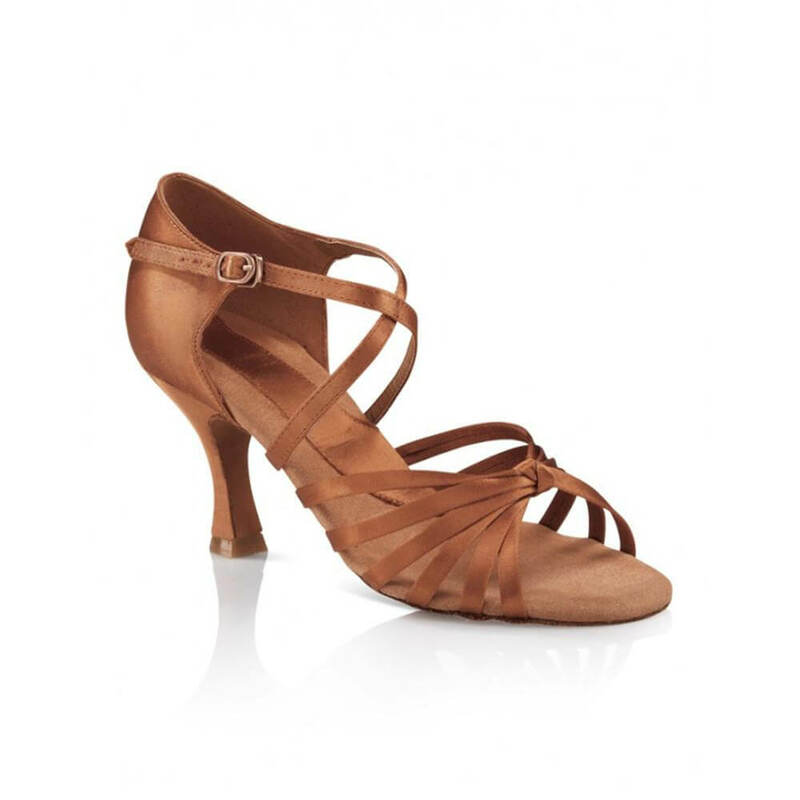 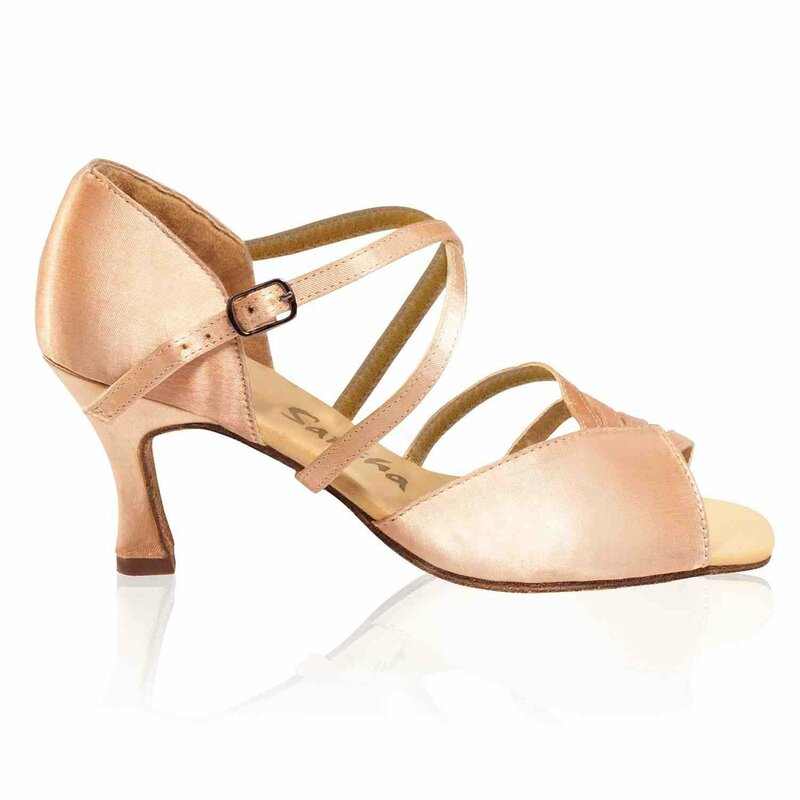 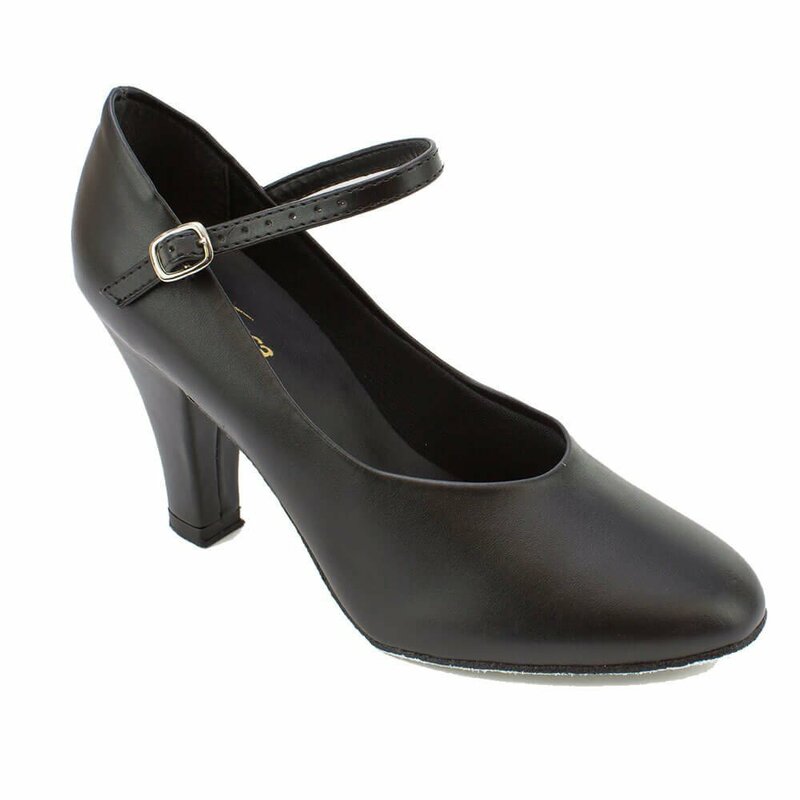 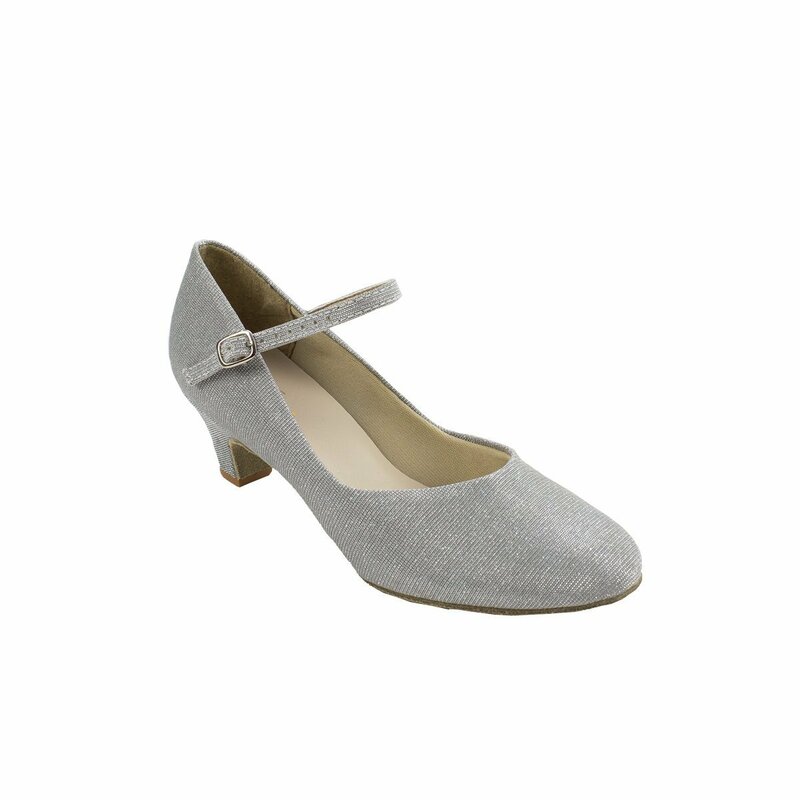 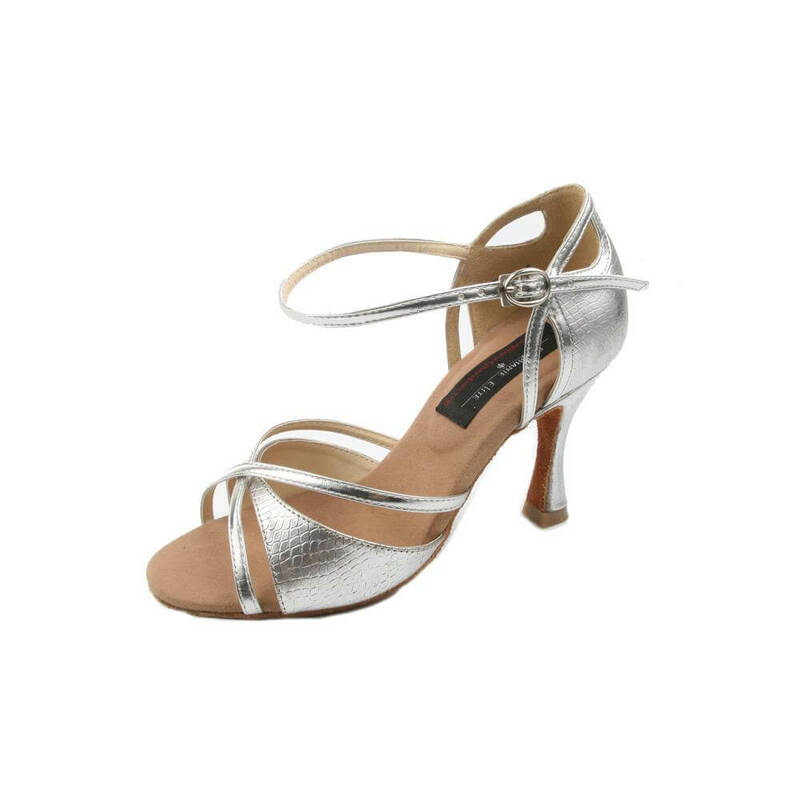 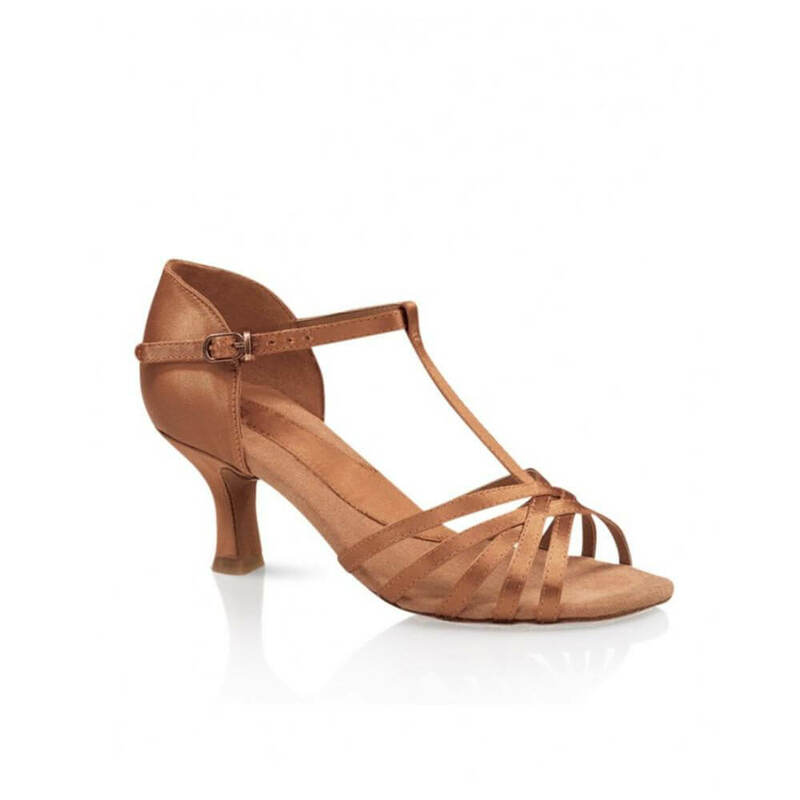 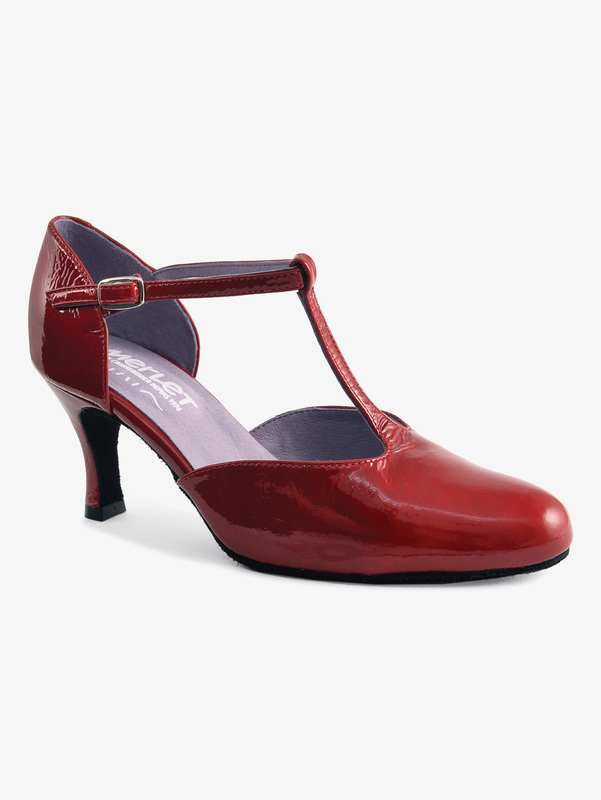 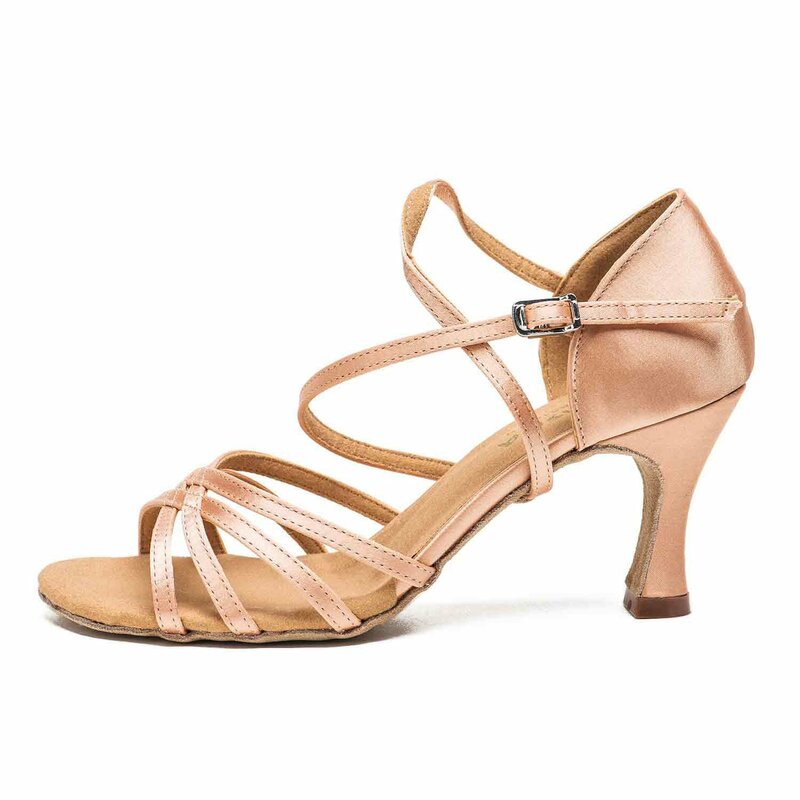 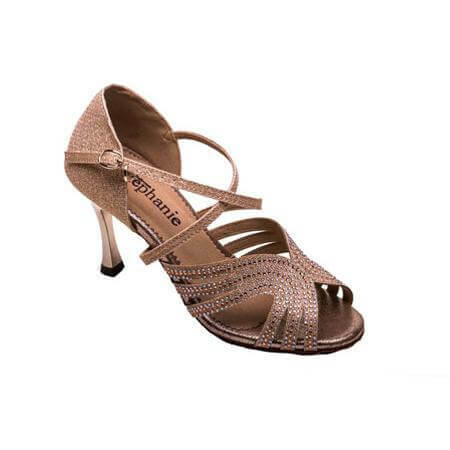 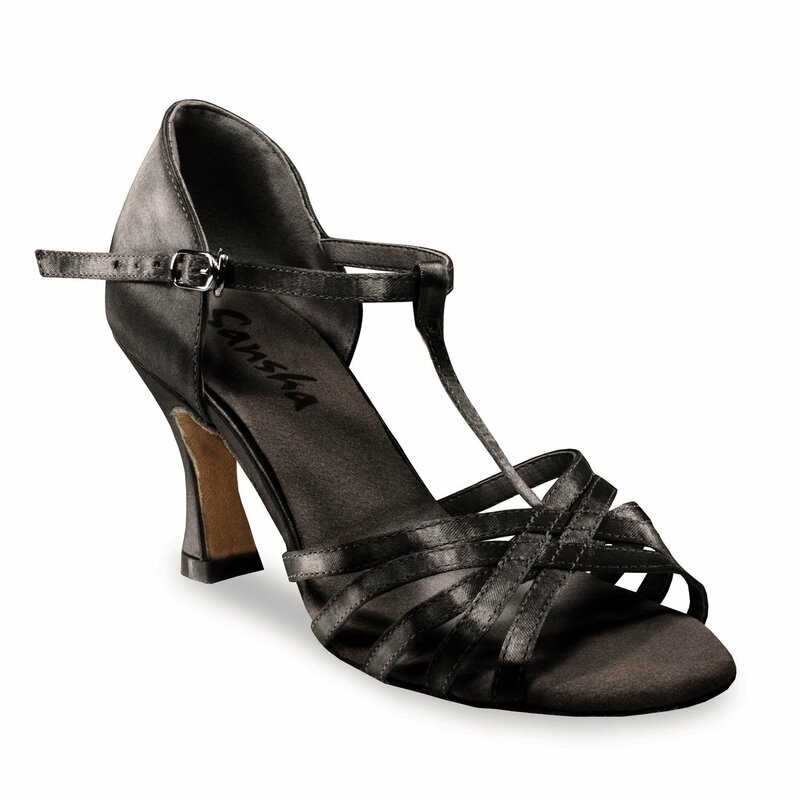 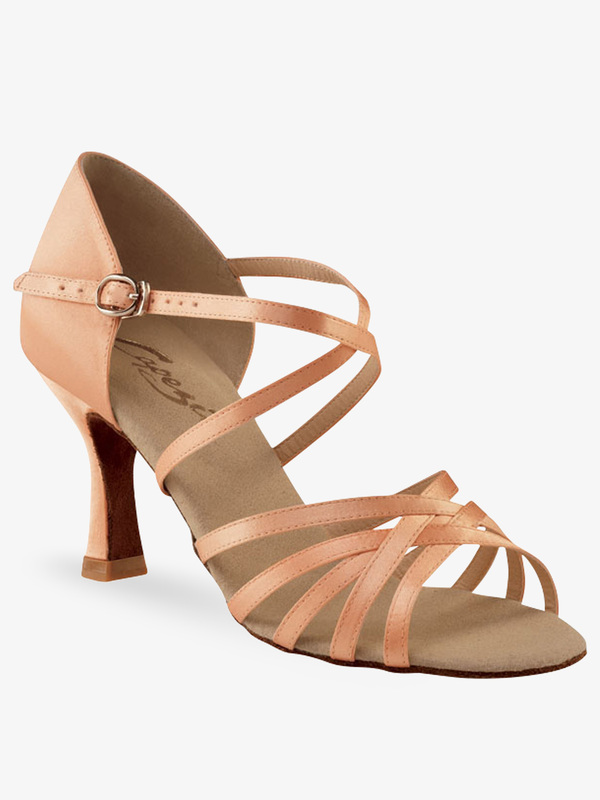 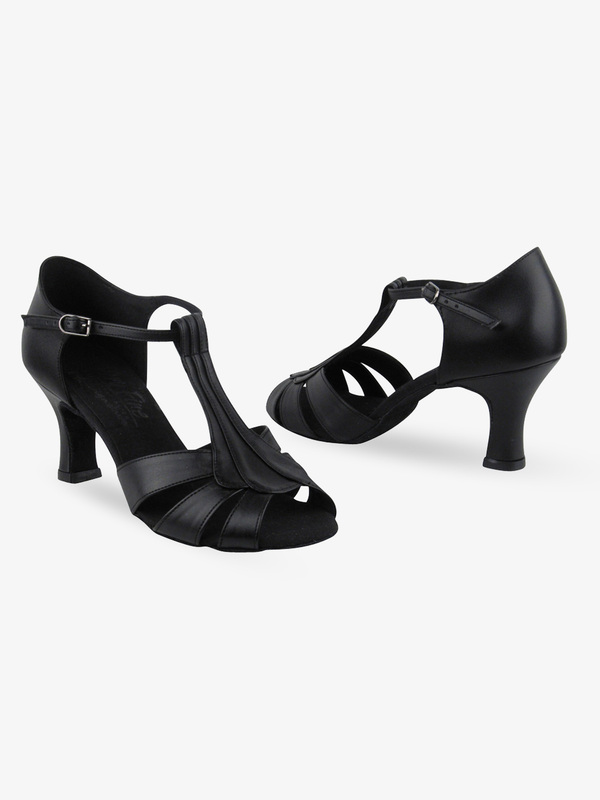 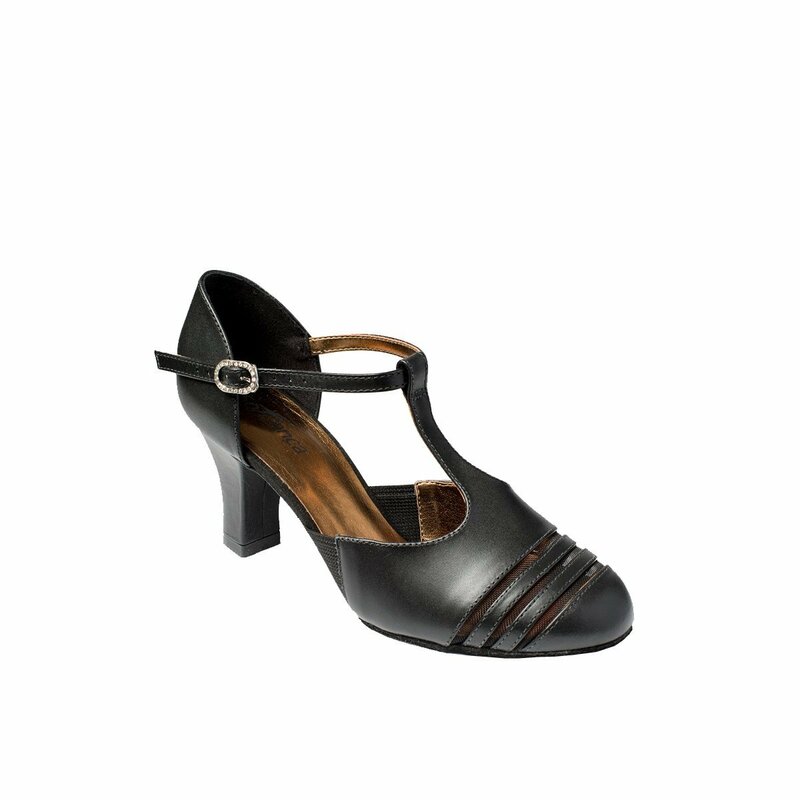 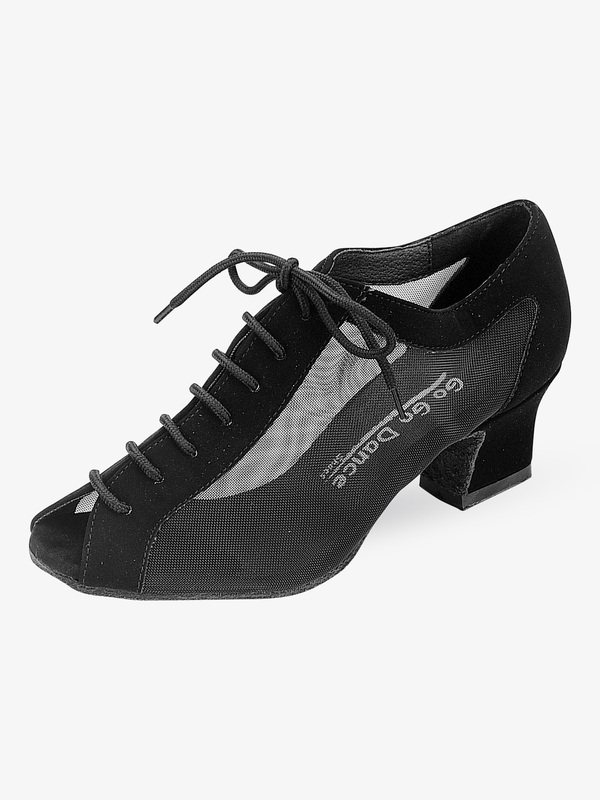 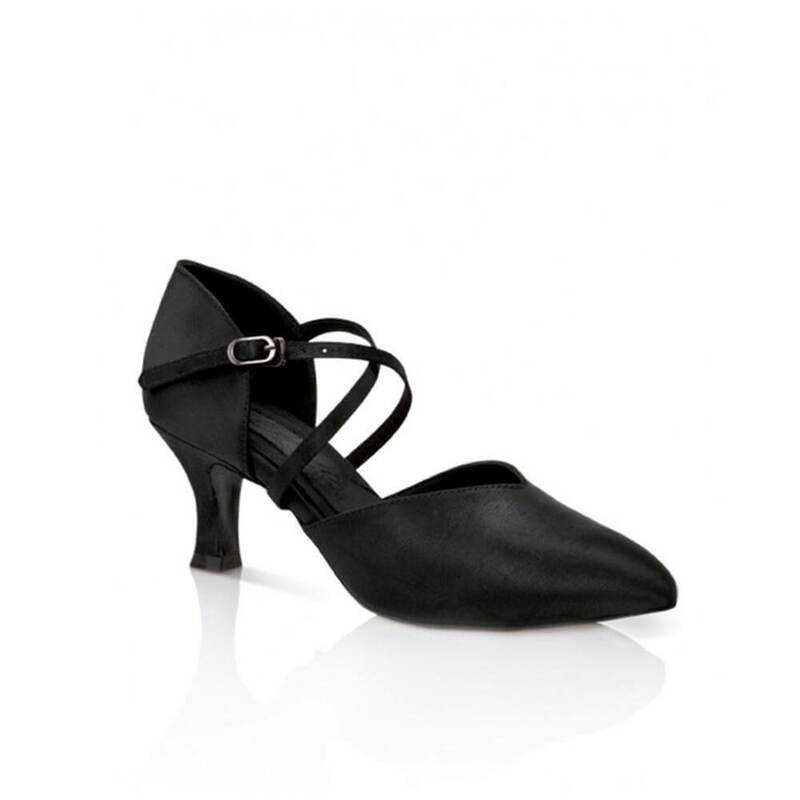 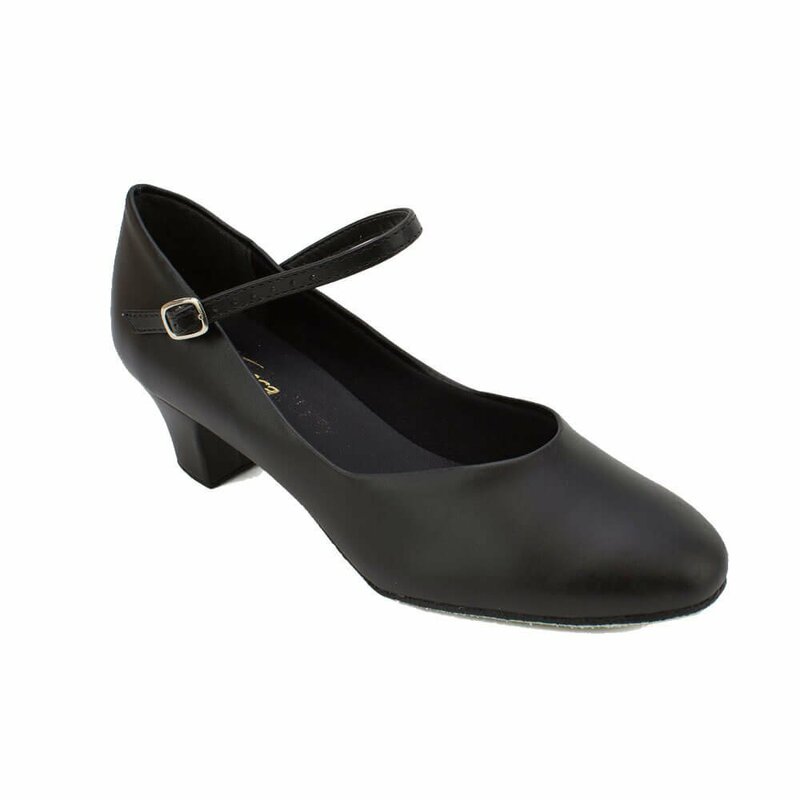 Capezio Ladies Rosa Ballroom Shoe SD02: The Rosa-inch is ideal for Latin/Rhythm social dance styles! 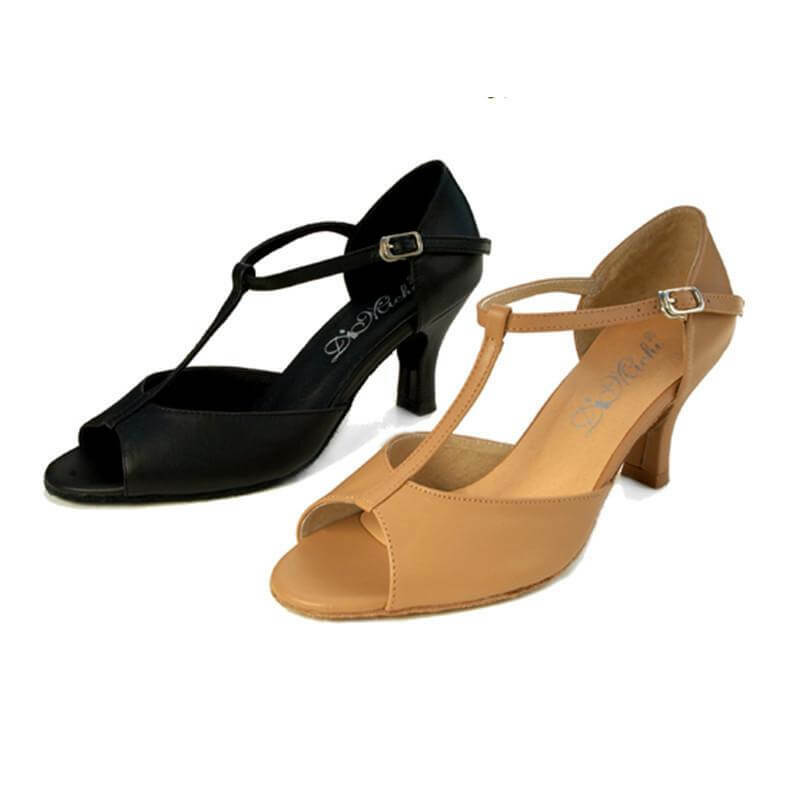 Features include a 2.5-inch flared heel, crisscross ankle strap for extra support, PU upper, suede sole, cushioned insoles and speed buckle. 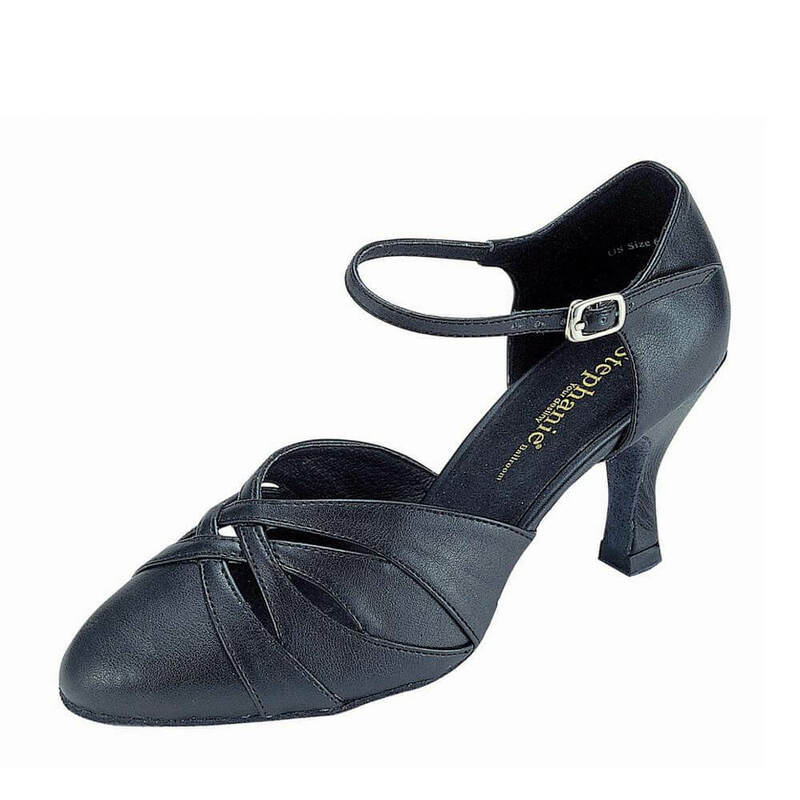 Capezio Mens Standard Social Dance Ballroom Shoes SD103: This social dance shoe is ideal for all standard ballroom style social dances! 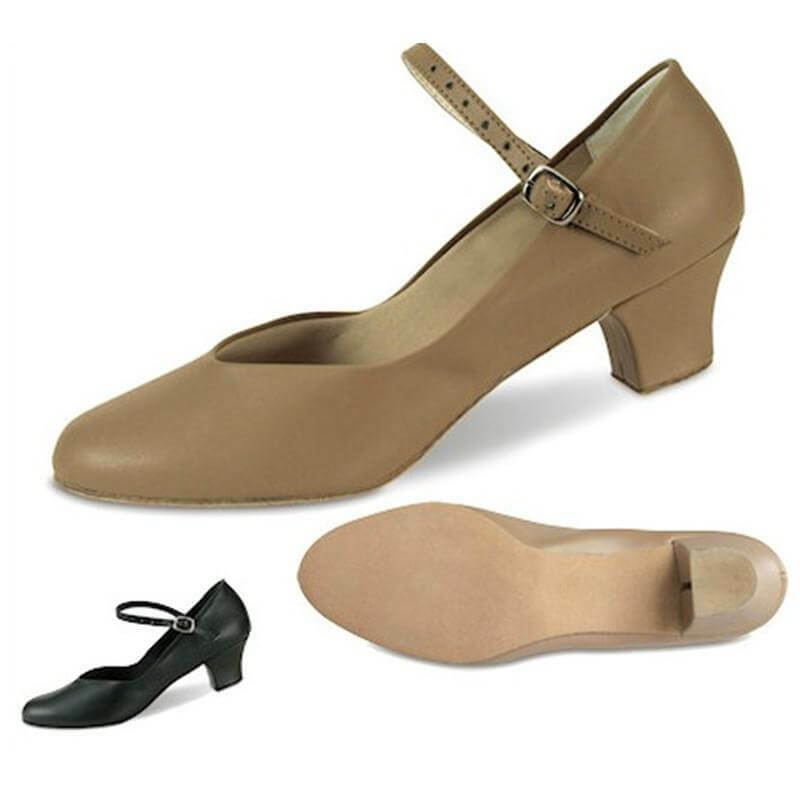 Features include soft, supple and durable PU upper, flexible suede sole, 3/4 shank, shock absorbing sponge insole, strong heel counter for maximum ankle support and a 1-inch heel with suede covered toplifts for shock absorption. 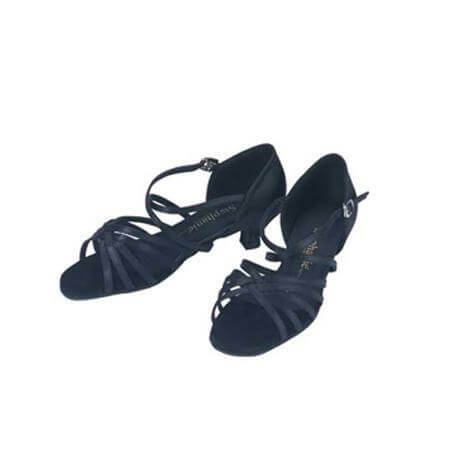 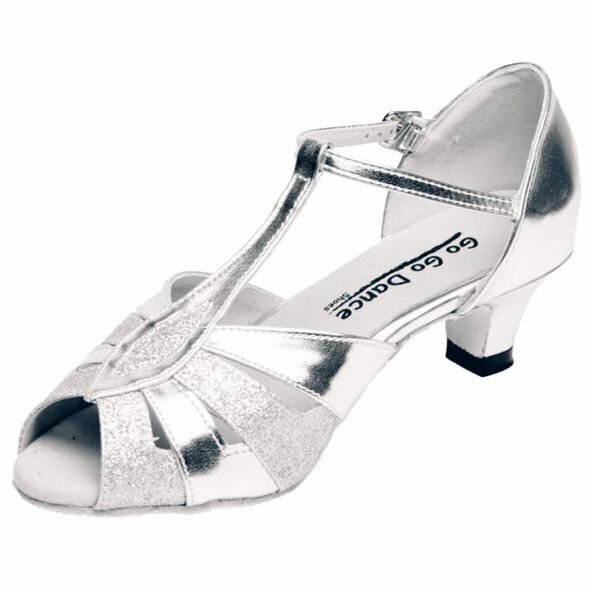 Go Go Ladies Practice Ballroom Shoes GO405: This Practice GOGO Dance Shoe features a 1.8-inch Cuban heel with upgraded insole for comfort. 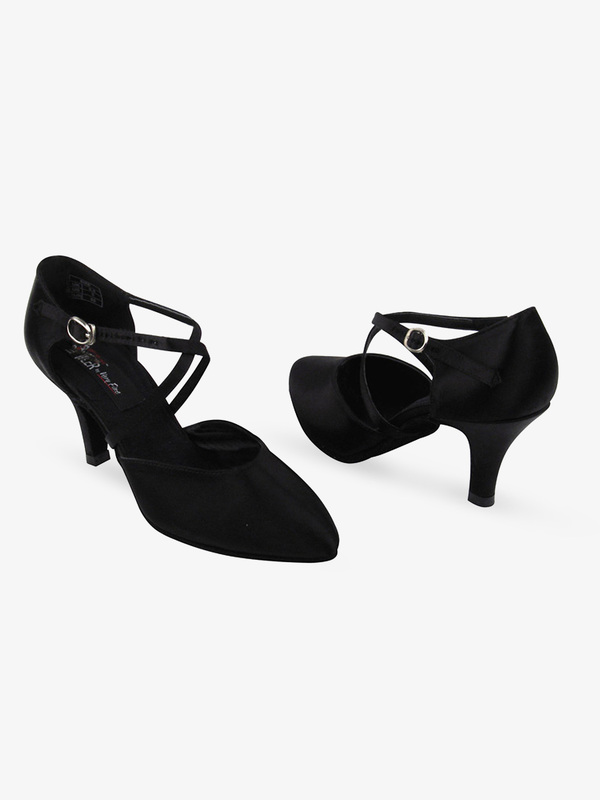 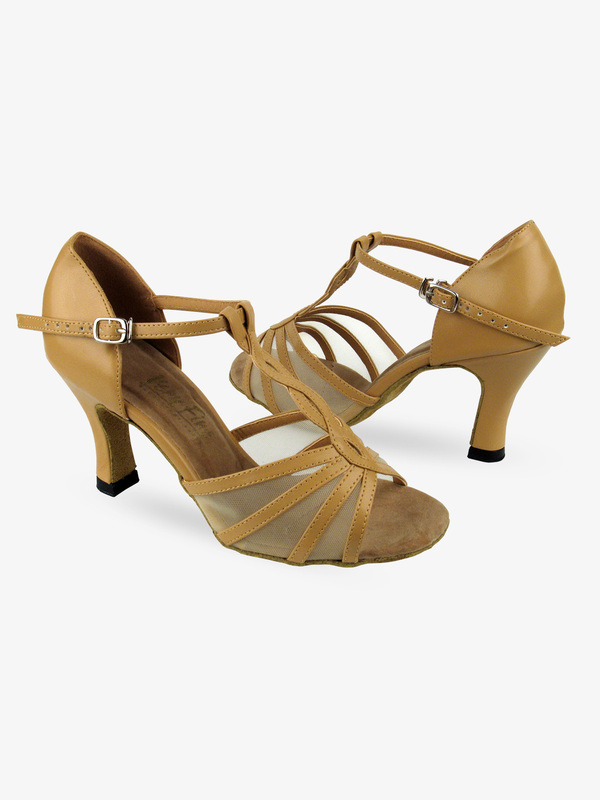 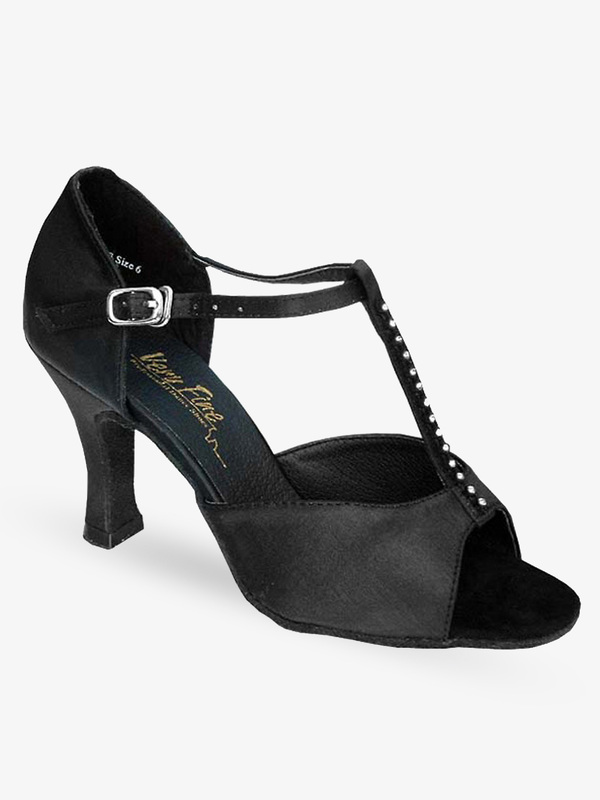 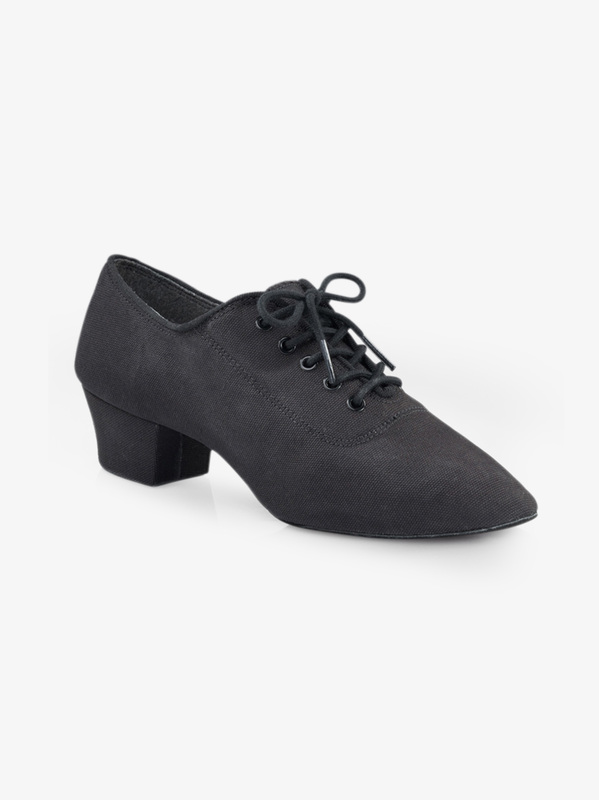 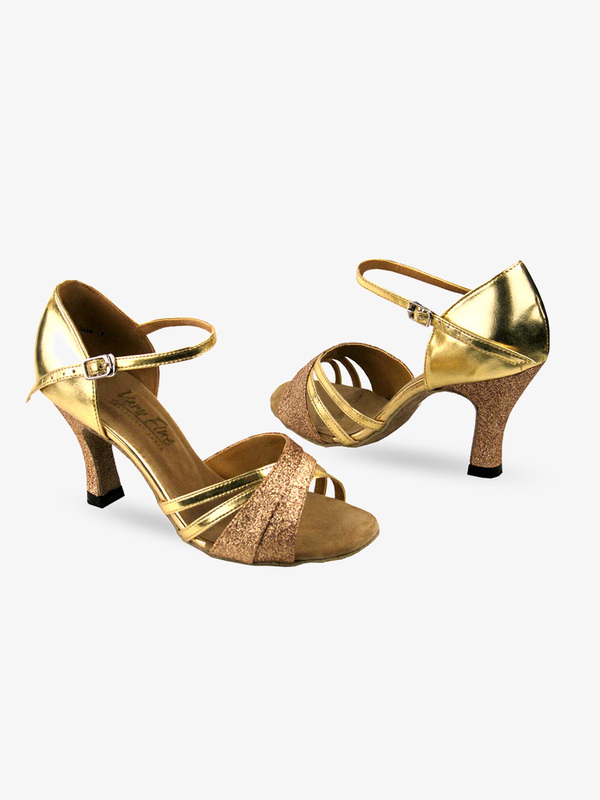 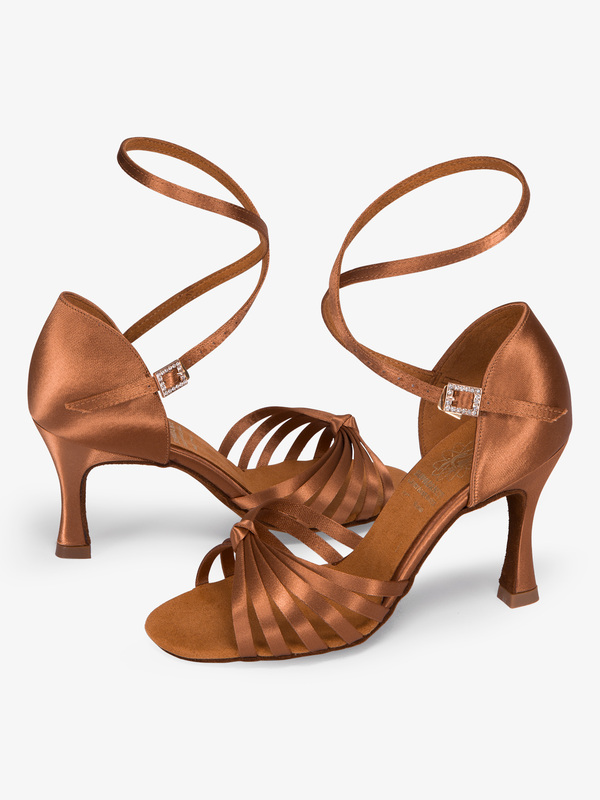 Uniquely designed for social and beginner dancers, the suede sole allows easy movement while the low heel provides stability; an ideal combination for ballroom practicing. 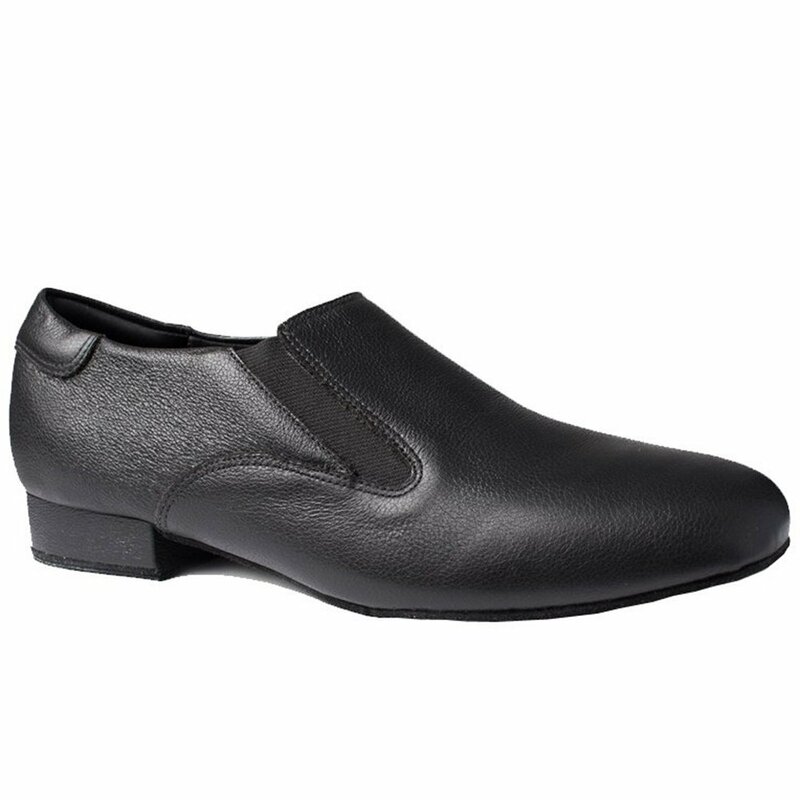 These affordable, long lasting, best value shoes are closely examined in the USA to provide you with the best quality possible. 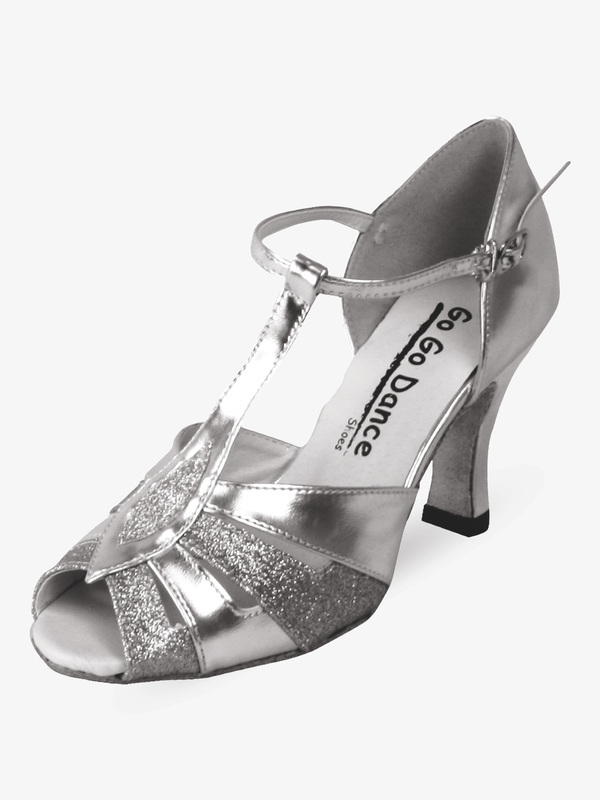 Every pair of GOGO Dance Shoes comes with a free shoe bag! 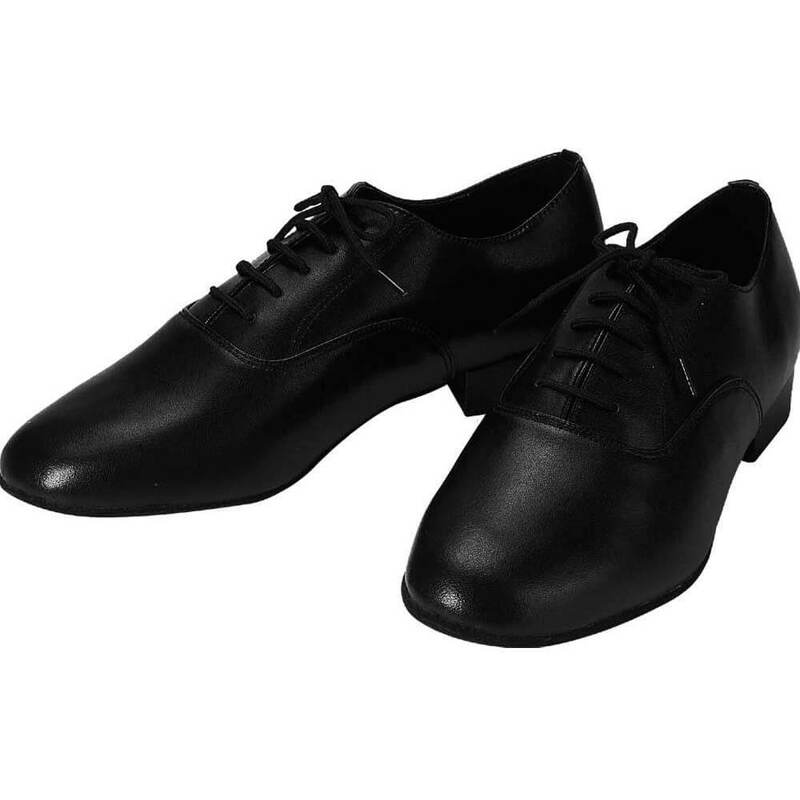 Go Go Mens Dance Shoes GO601: Go Go Latin Series Men's dance shoes feature a leather upper and padded inner sole for comfort. 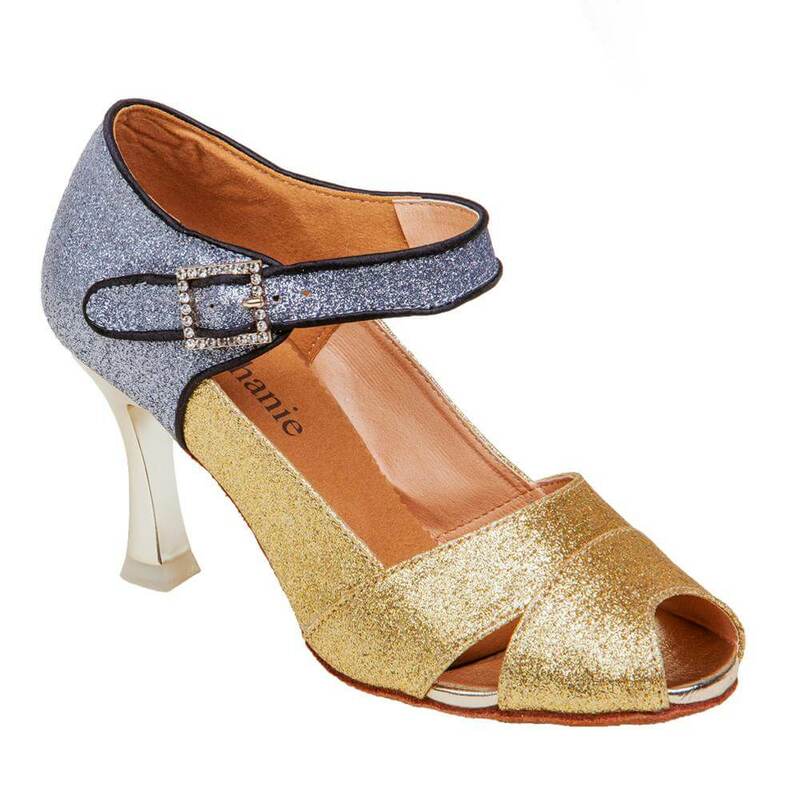 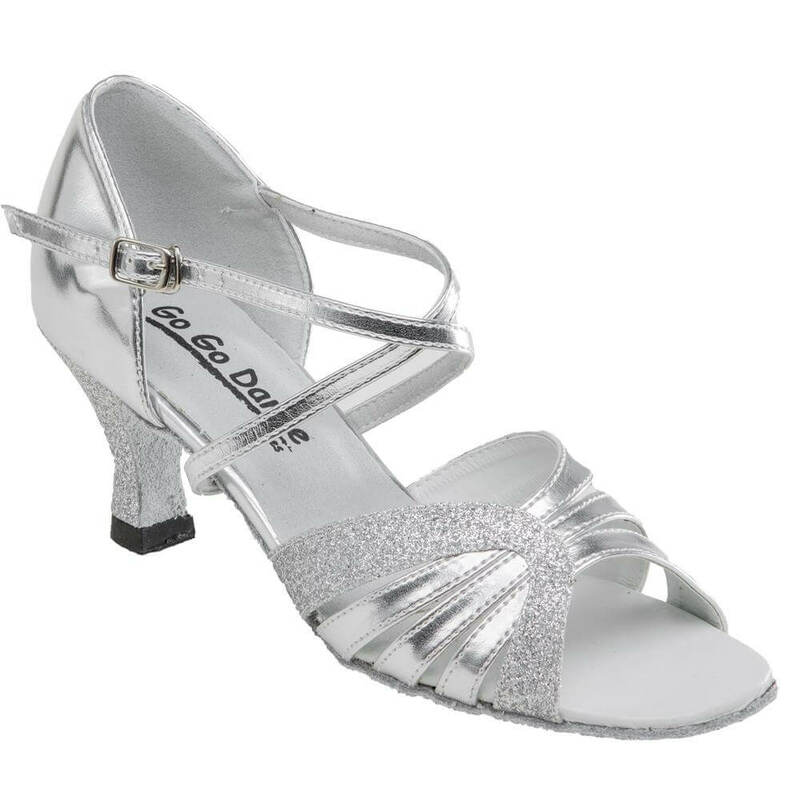 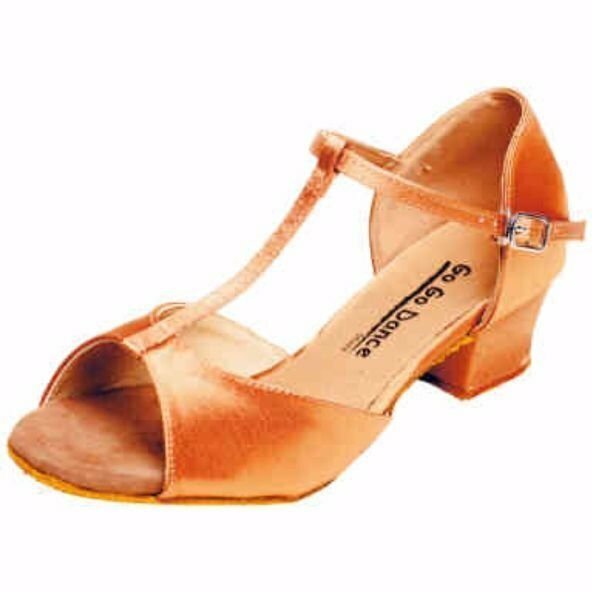 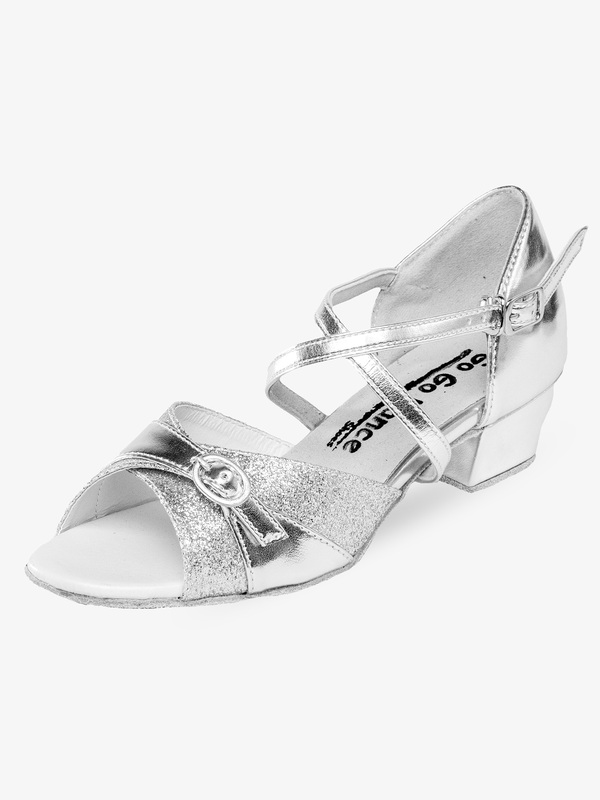 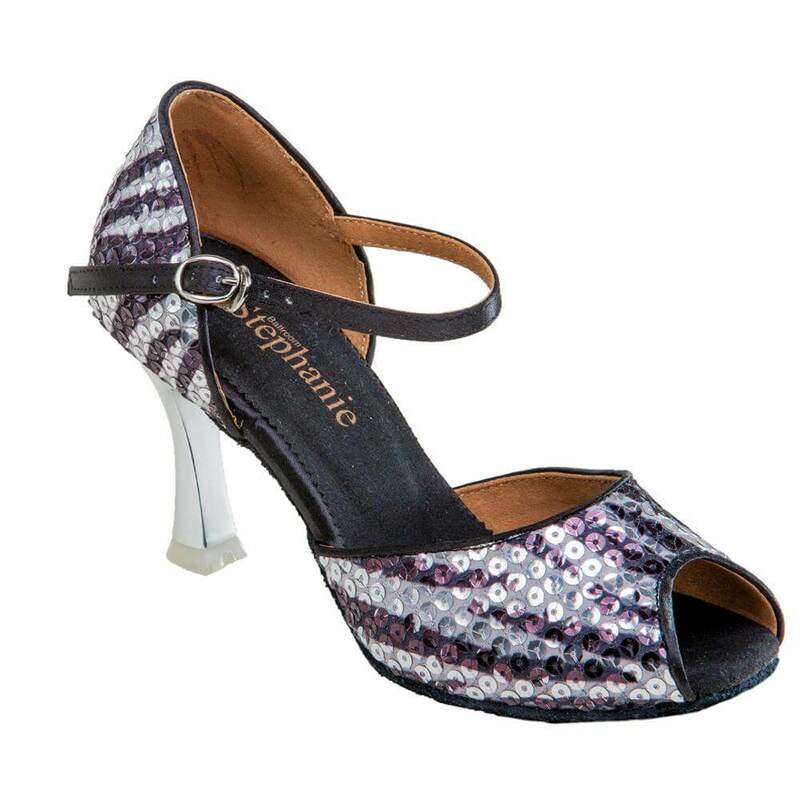 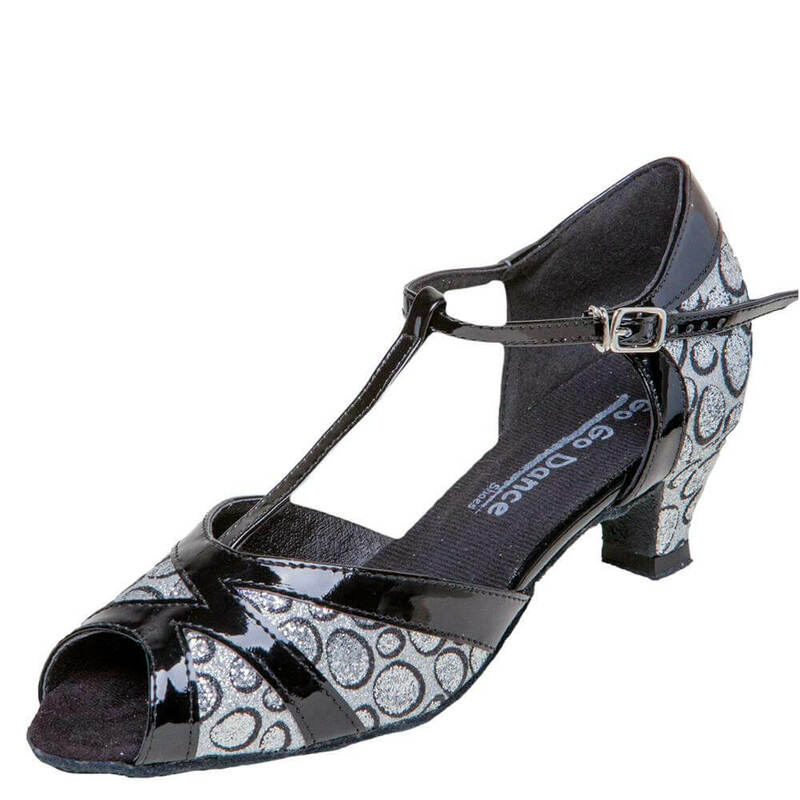 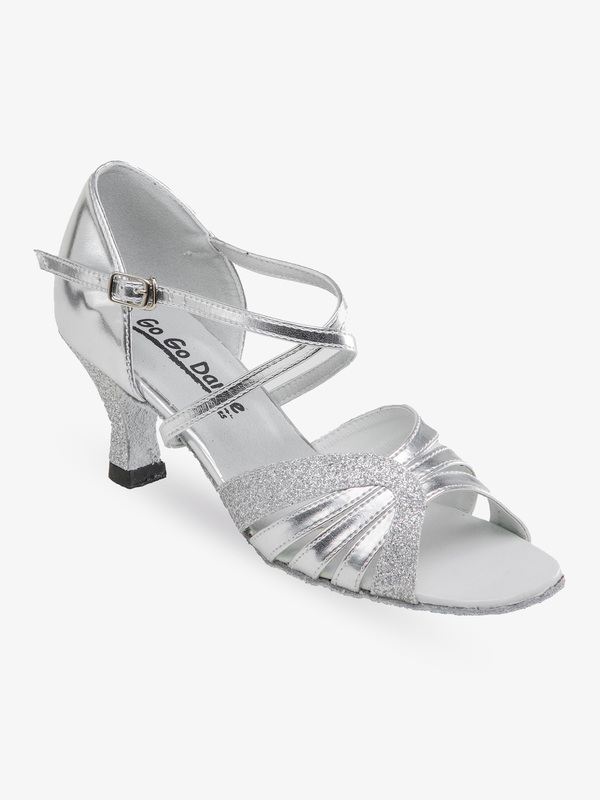 Go Go Ladies Latin/Rhythm Ballroom Shoes GO716: This GoGo Dance Shoe in a fashionable 1.3-inch heel and multiple colors will allow you to dance all night. 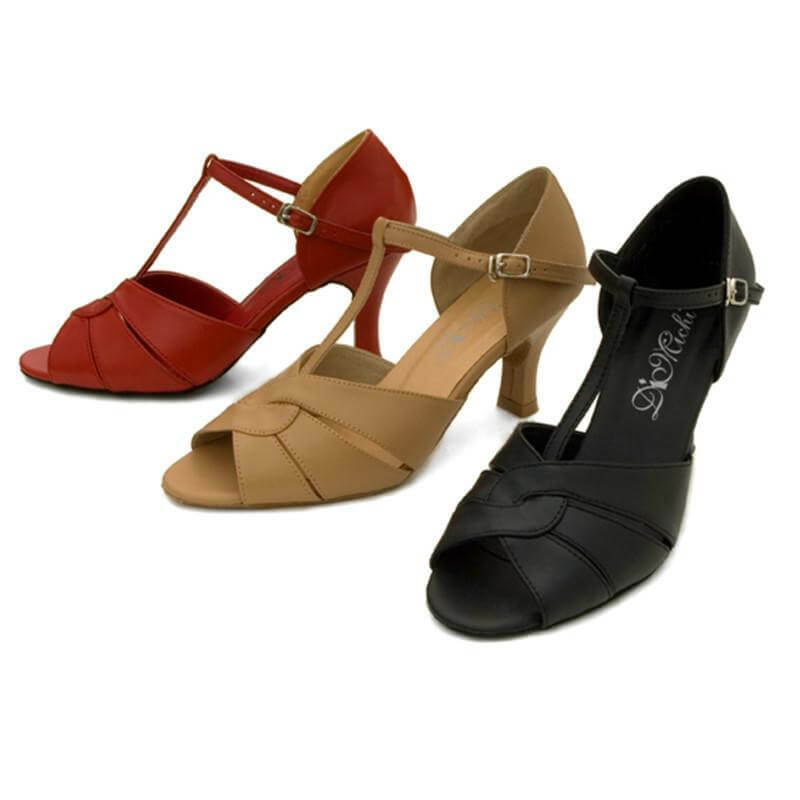 Strappy design offers style and comfort in one. 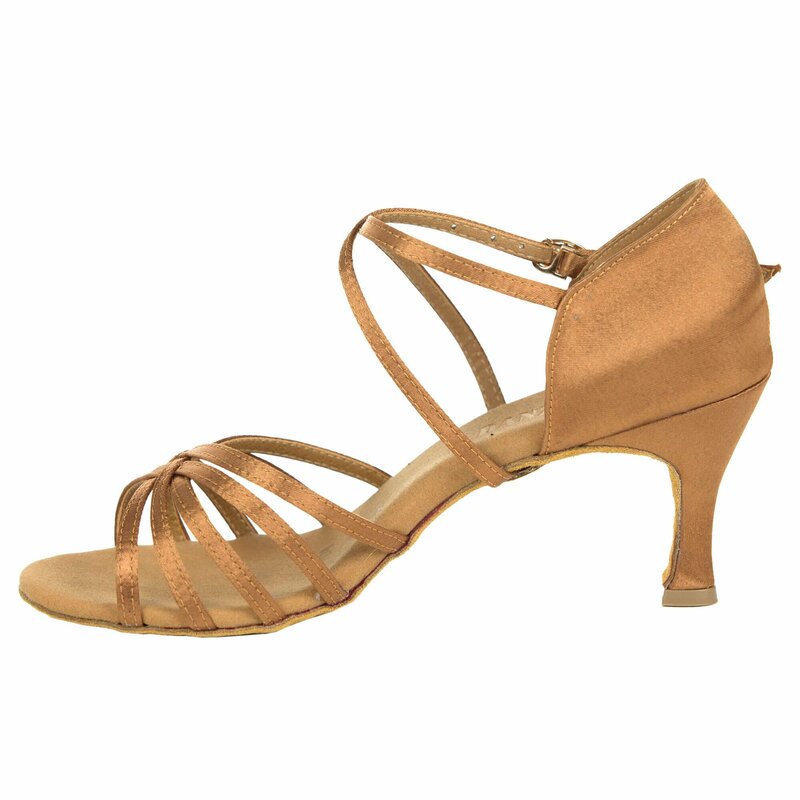 Ideal for Latin and Salsa dancing. 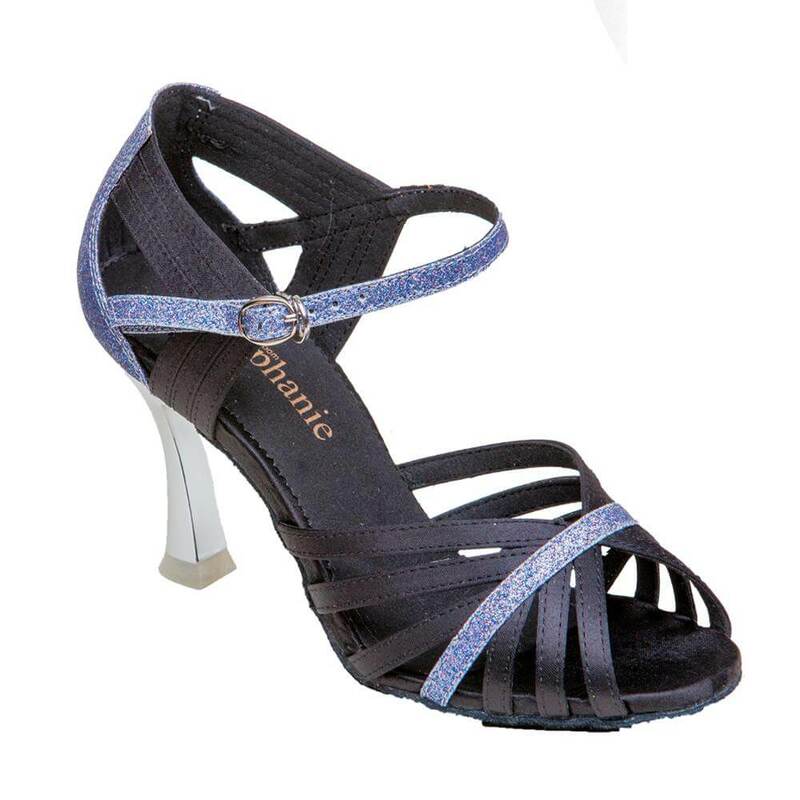 Go Go Ladies Latin/Rhythm Ballroom Shoes GO955: GoGo Dance Shoes in a fashionable 2.5-inch heel and two different colors. 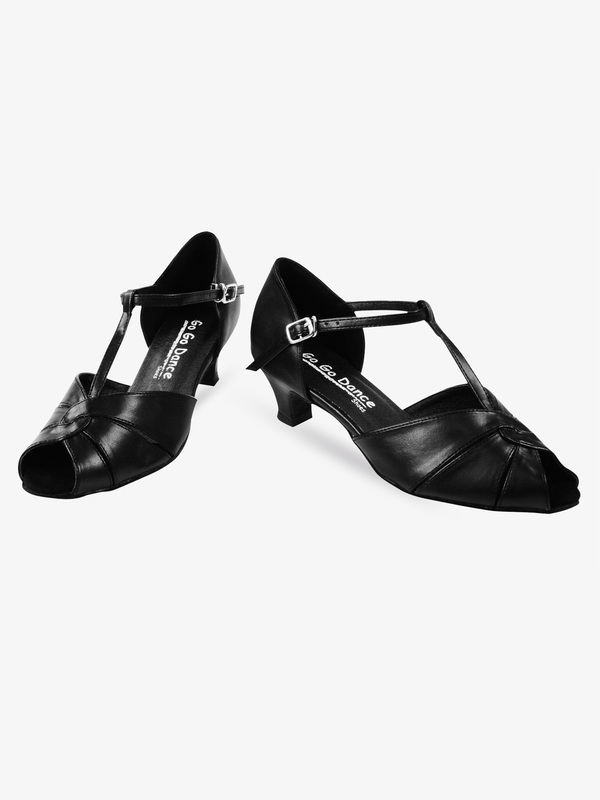 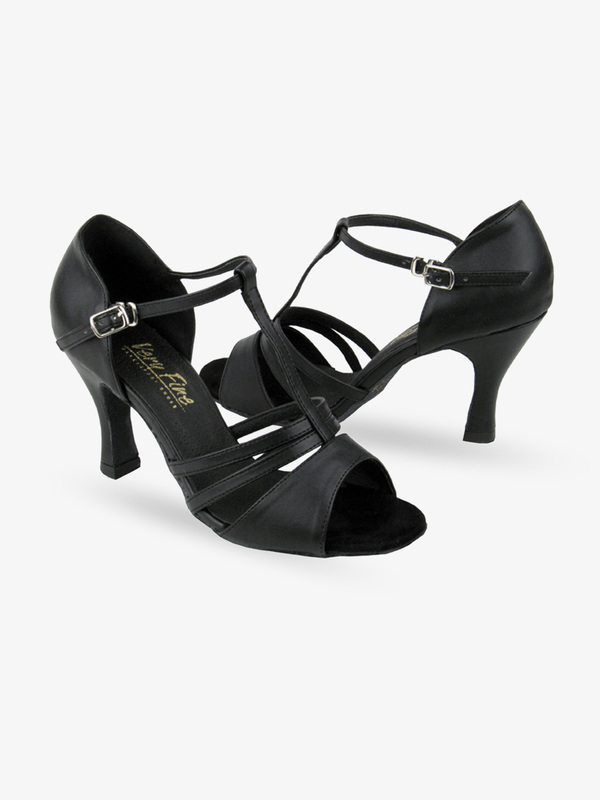 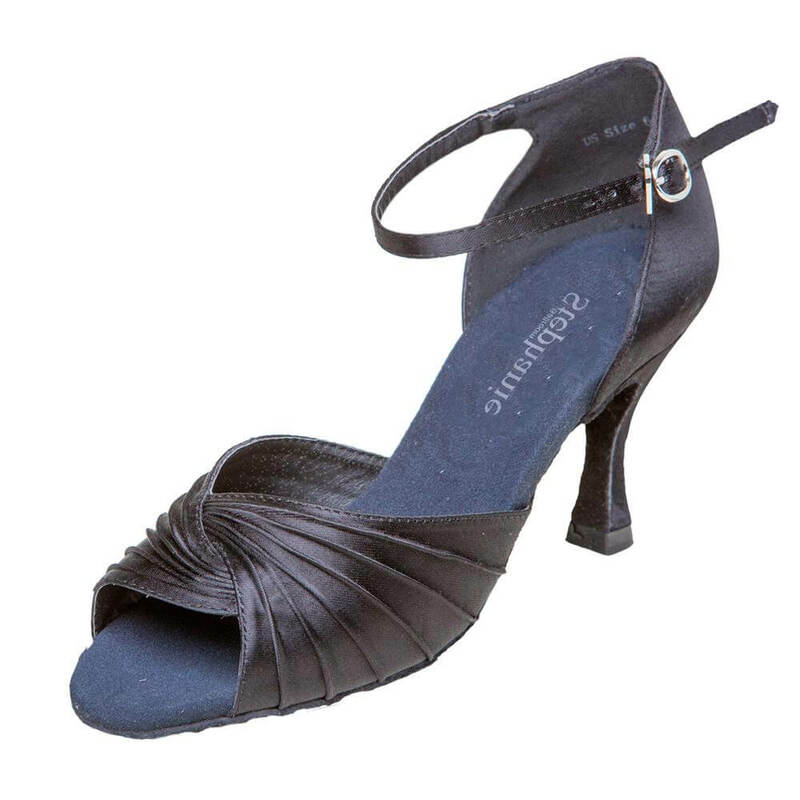 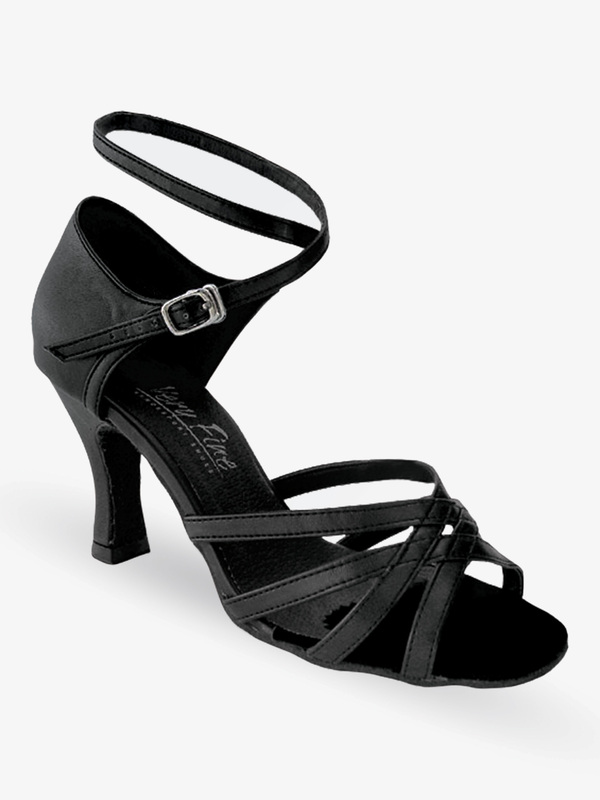 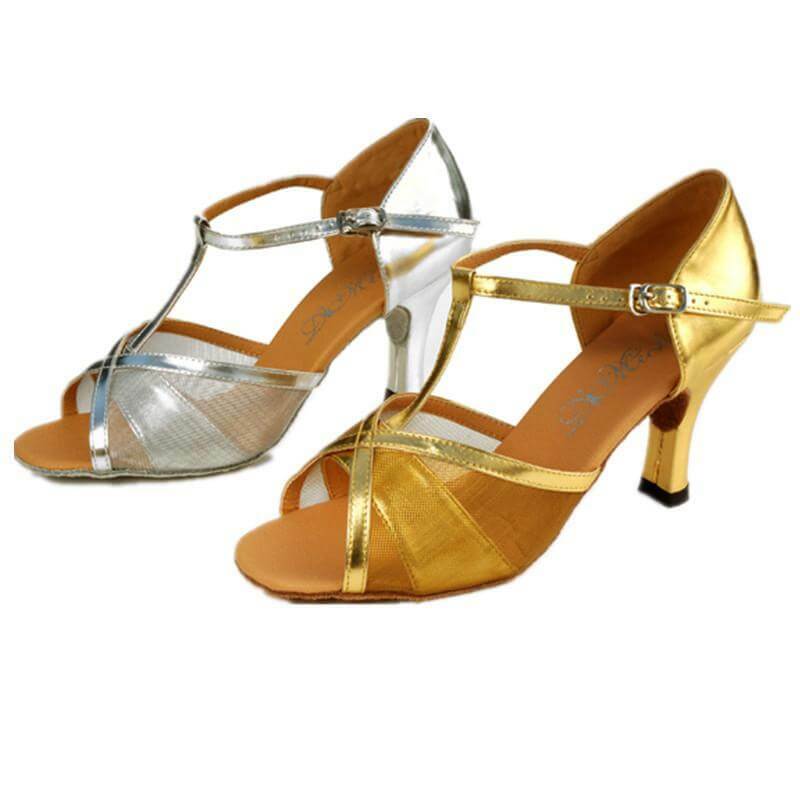 T-strap design offers style and comfort in one and is ideal for latin and salsa dancing. 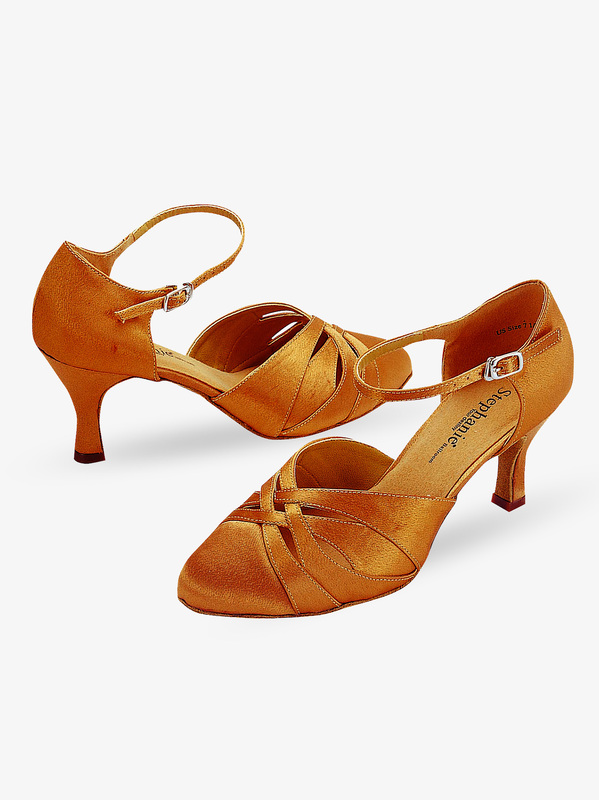 MANY MORE STYLES: Ballroom Shoes Online Store.